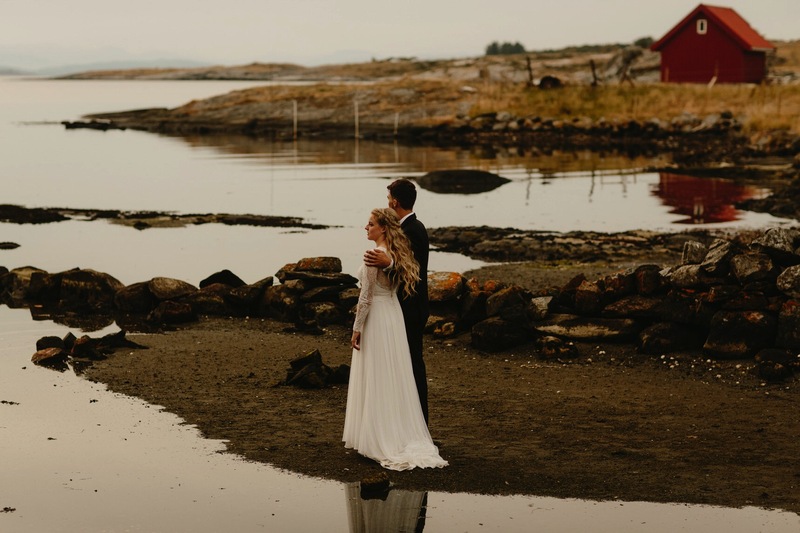 This is my 5th year as a destination wedding photographer, yet it still never ceases to amaze me some of the places I get to visit that I may have otherwise missed on my personal travels. 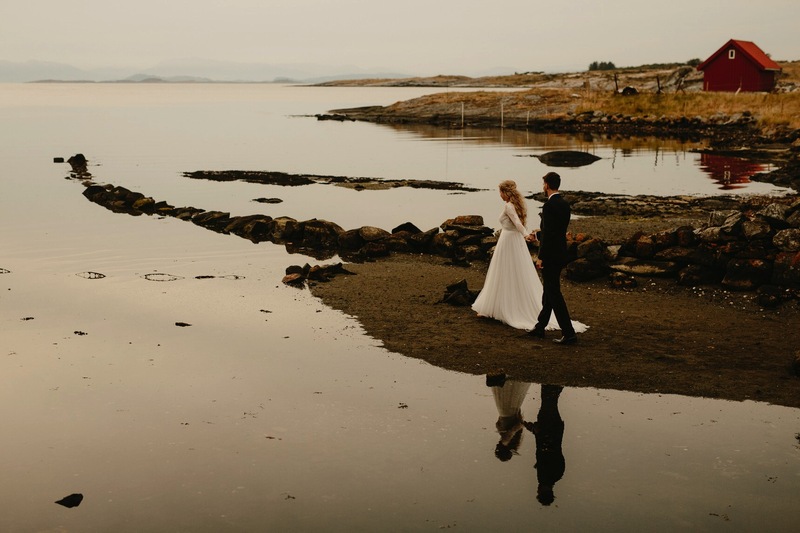 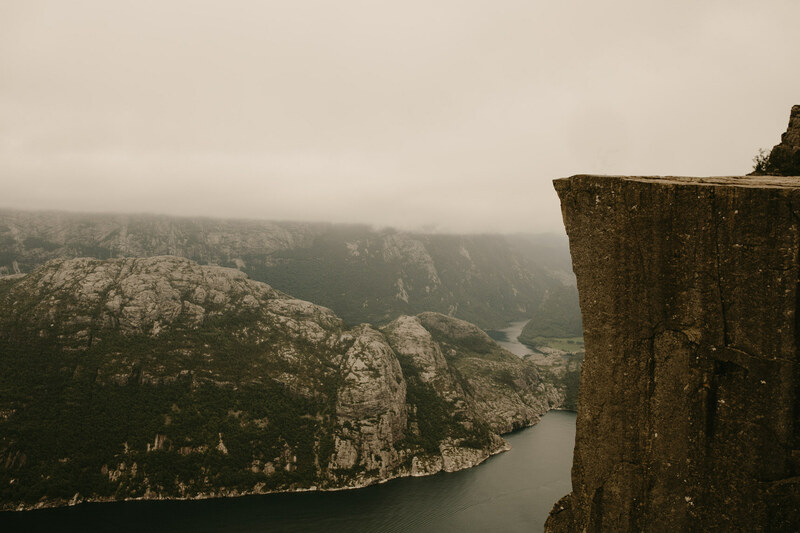 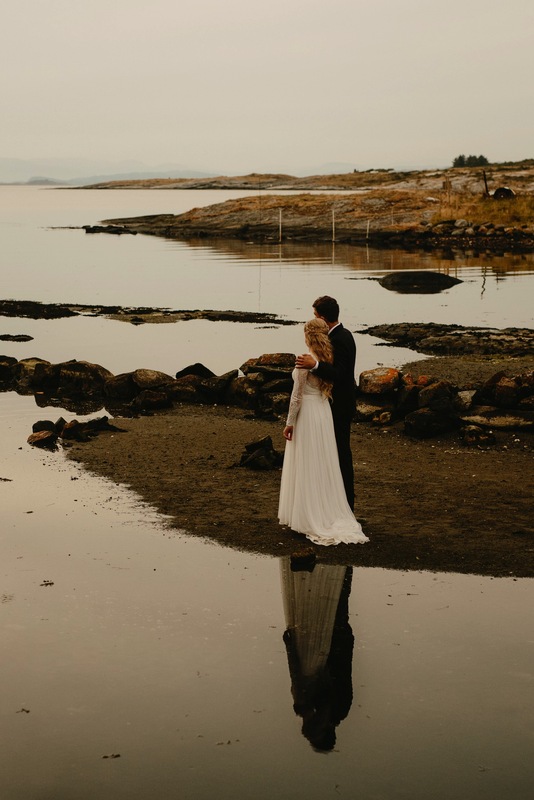 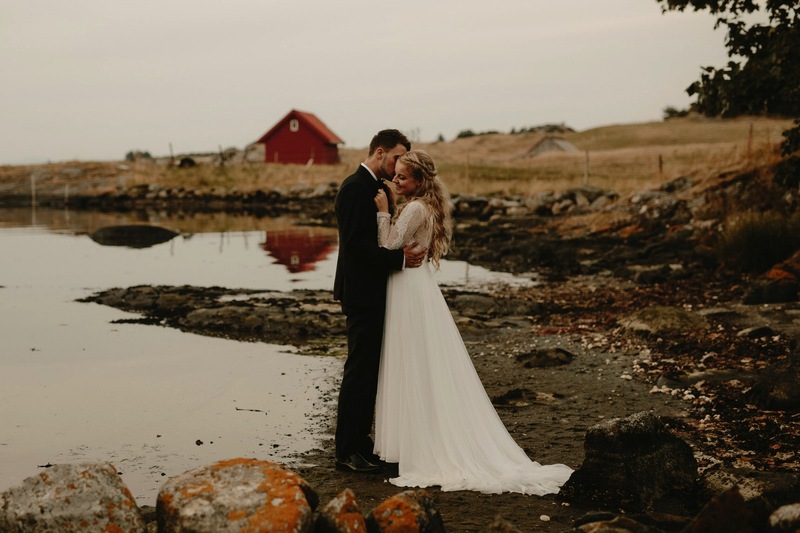 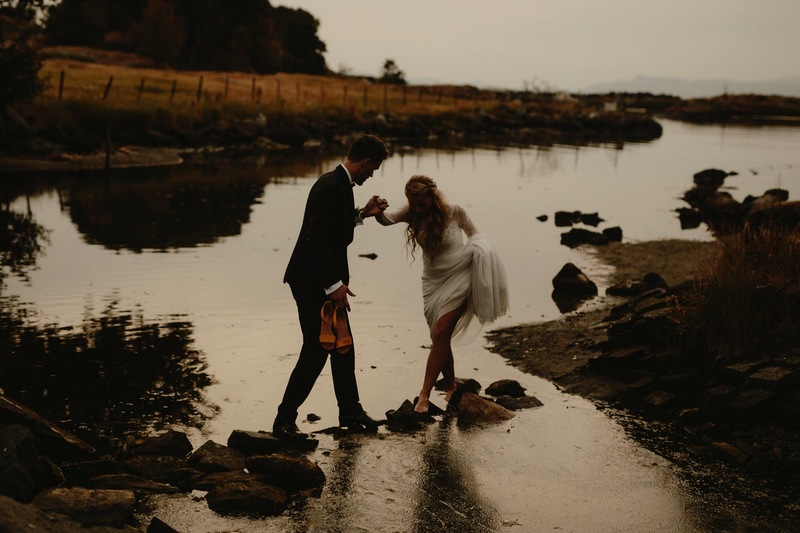 Leon and Maren invited me over to Norway to capture their wedding on the wonderful and tiny island of Rennesoy, with spectacular views out onto the North sea. 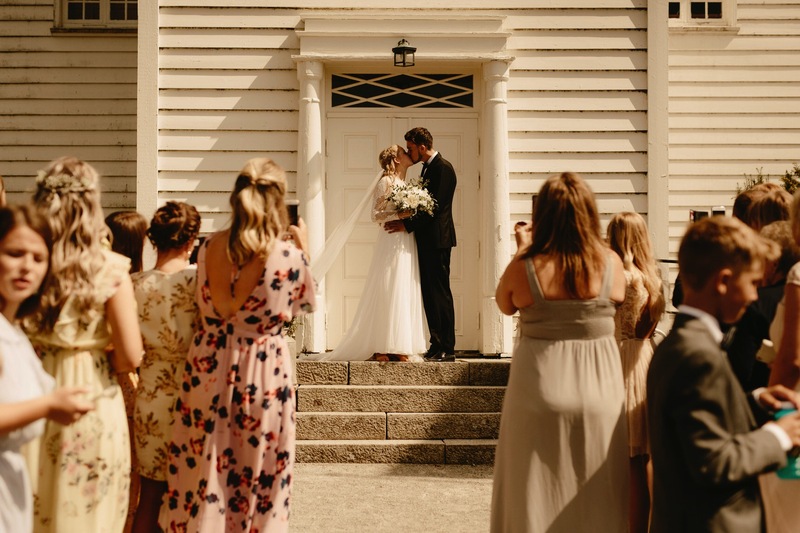 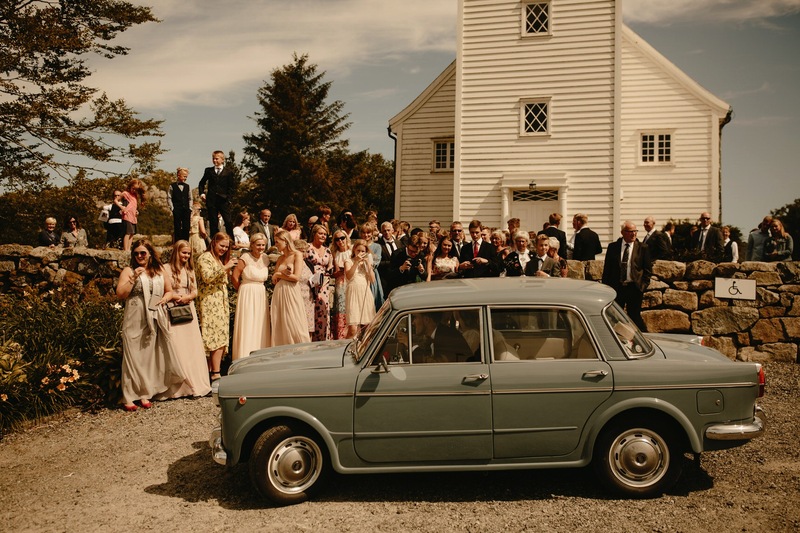 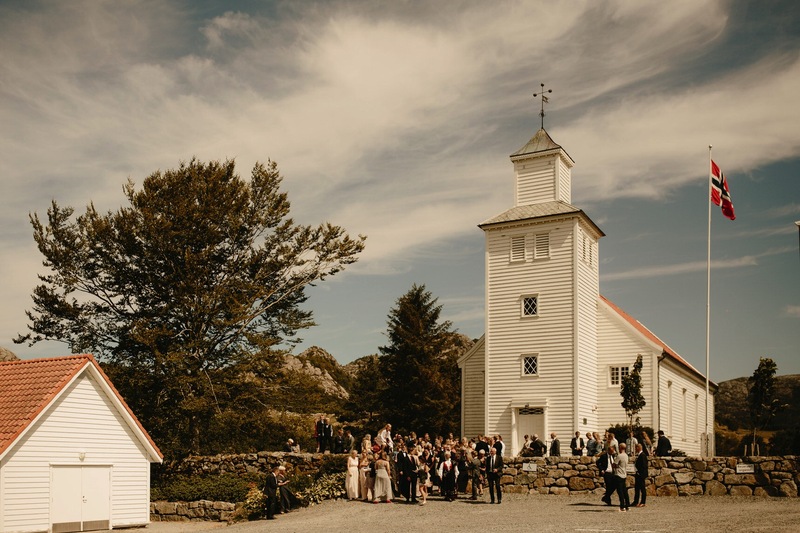 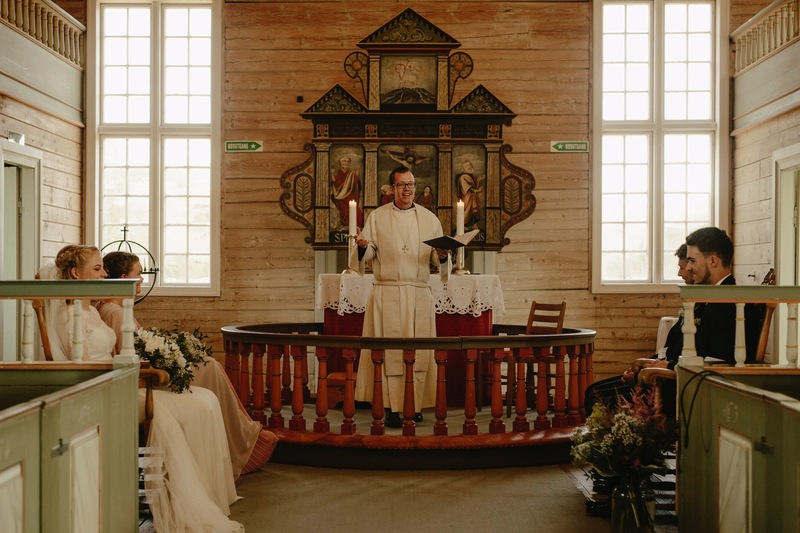 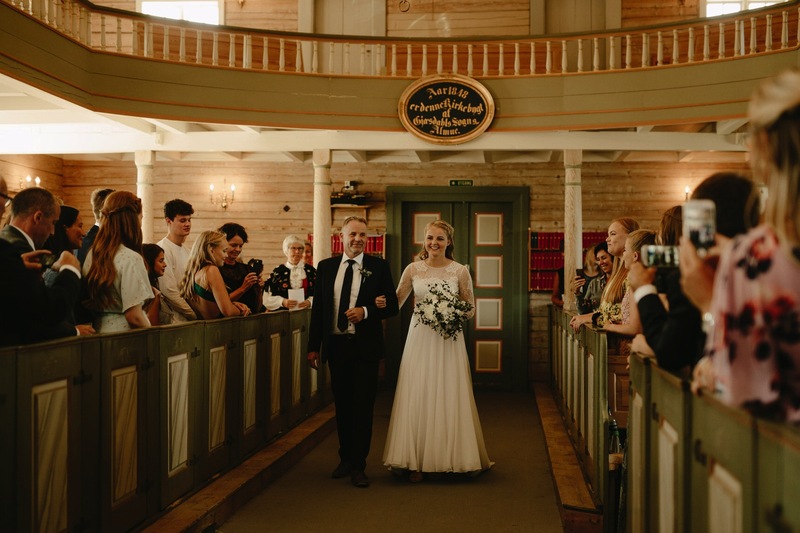 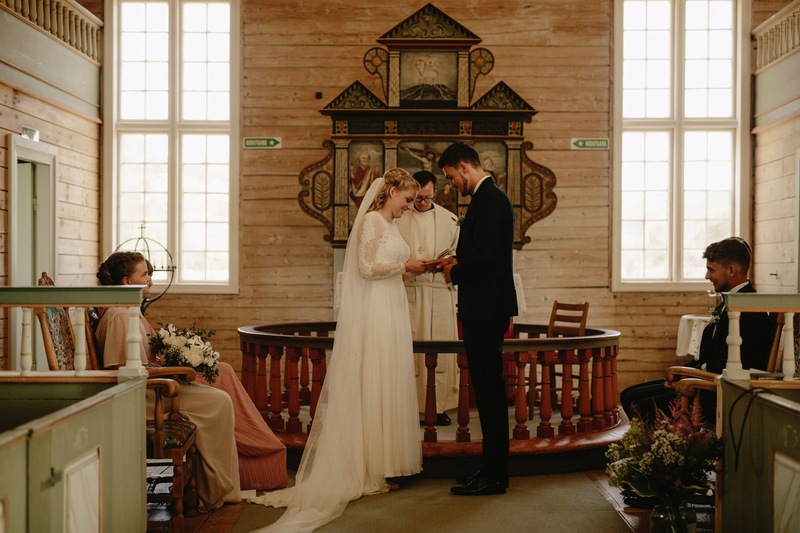 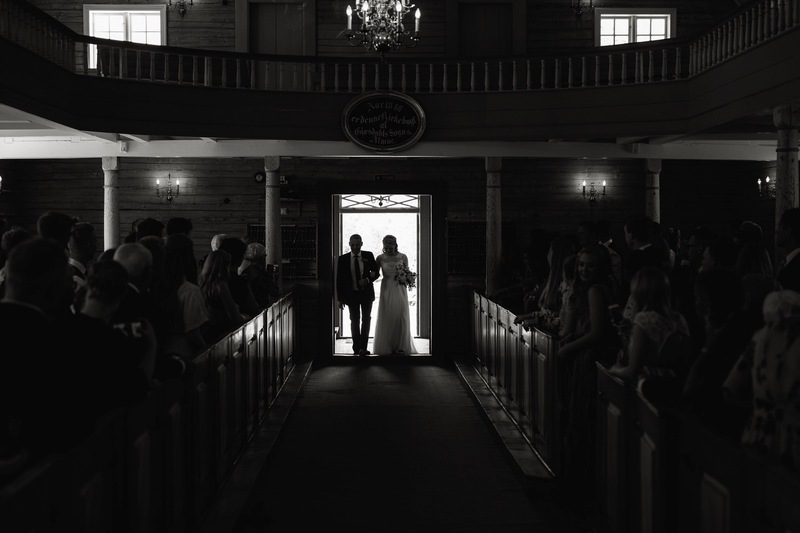 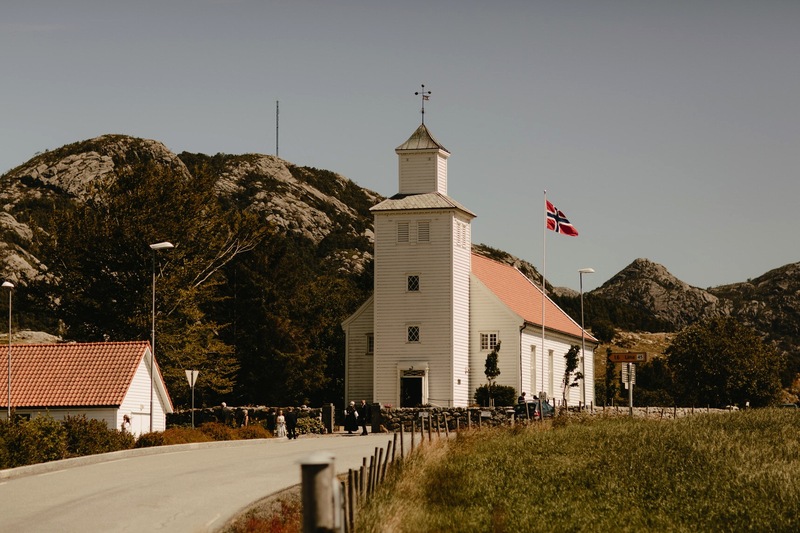 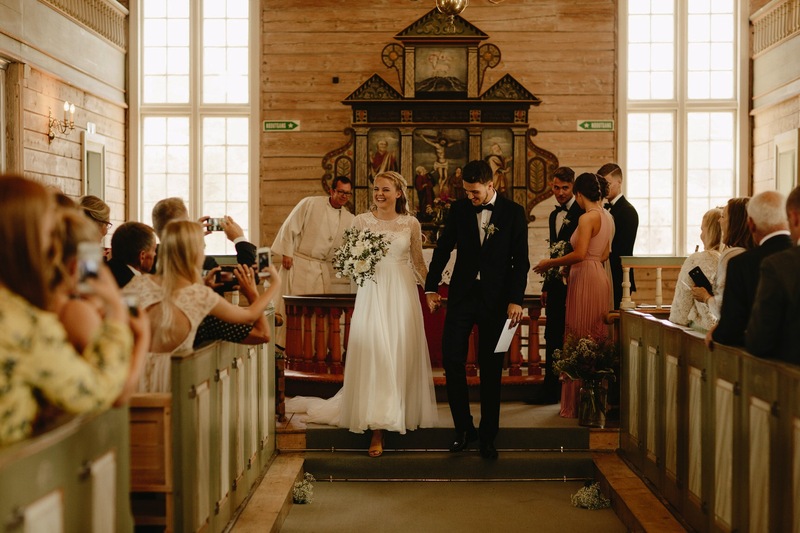 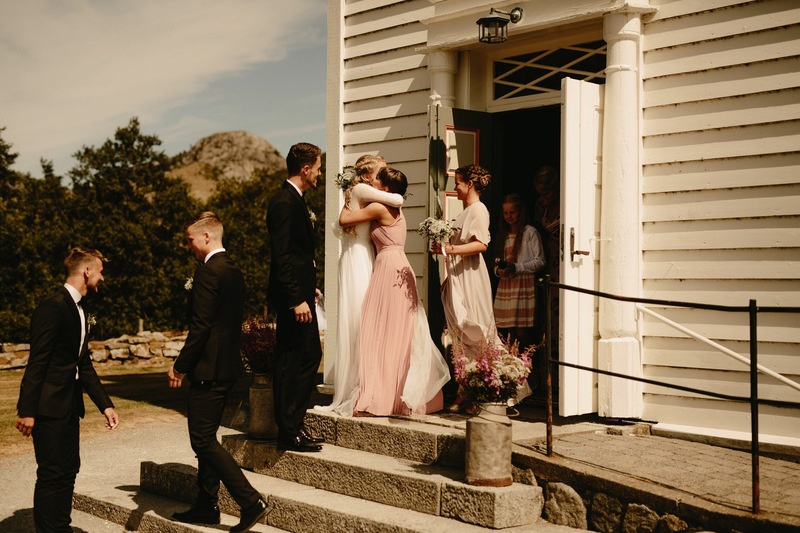 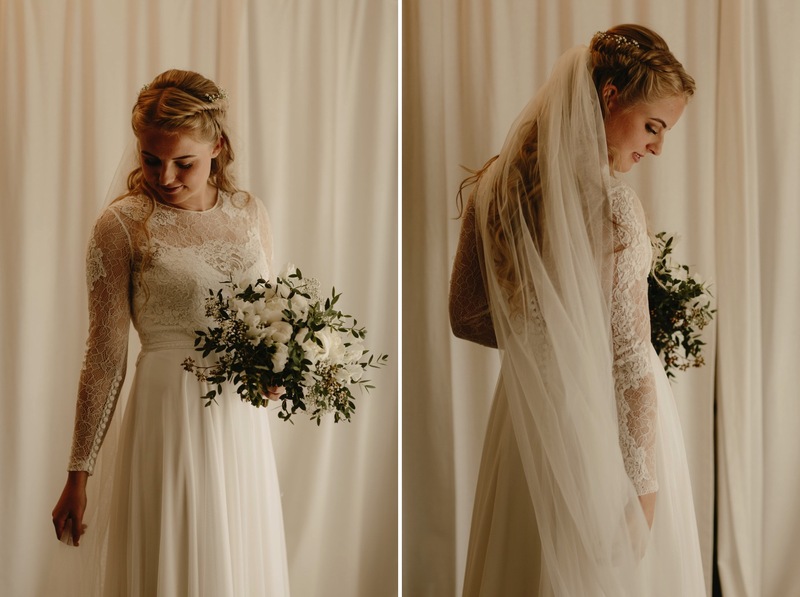 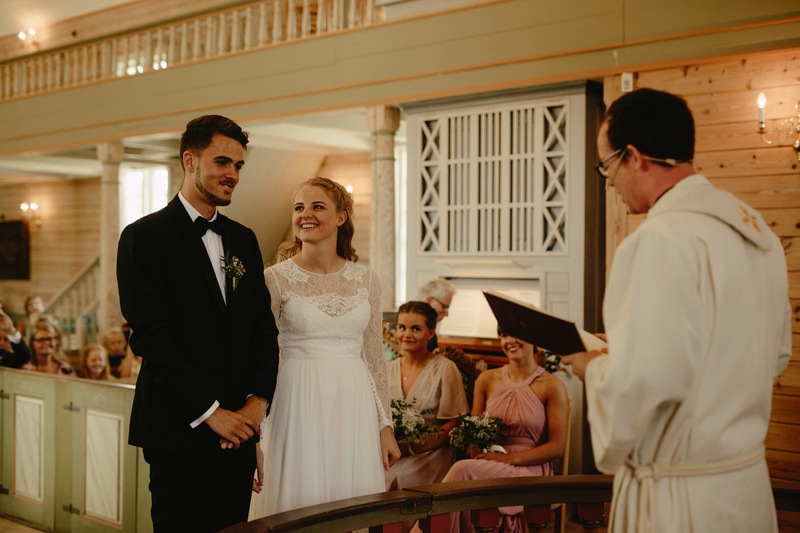 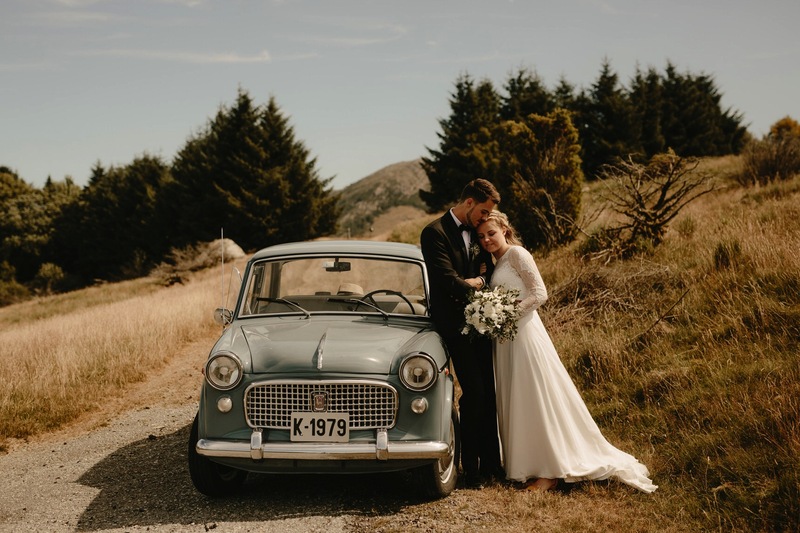 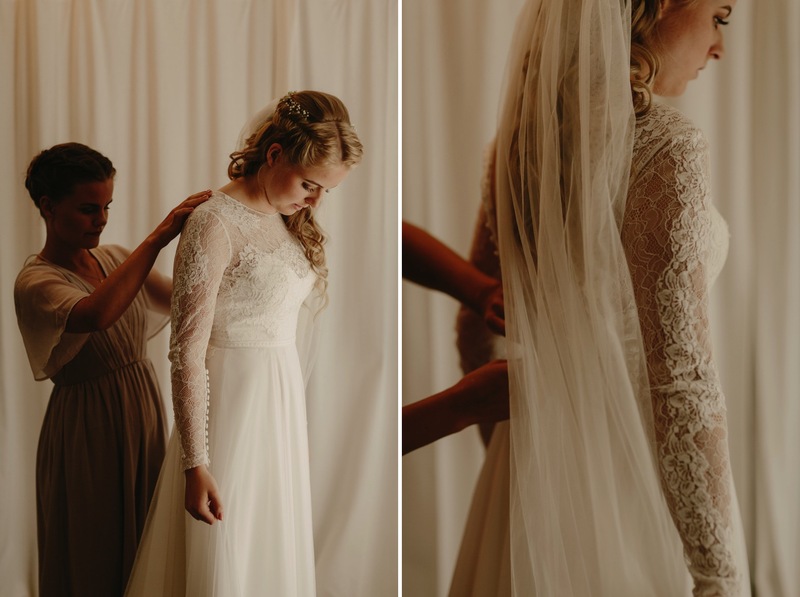 The ceremony took place in a beautiful church, set at the foot of the mountains with gorgeous, wooden Scandinavian interiors. 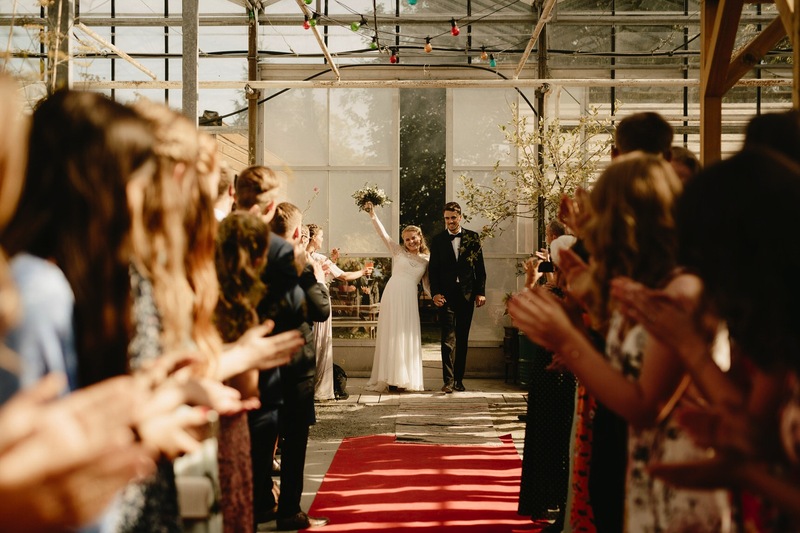 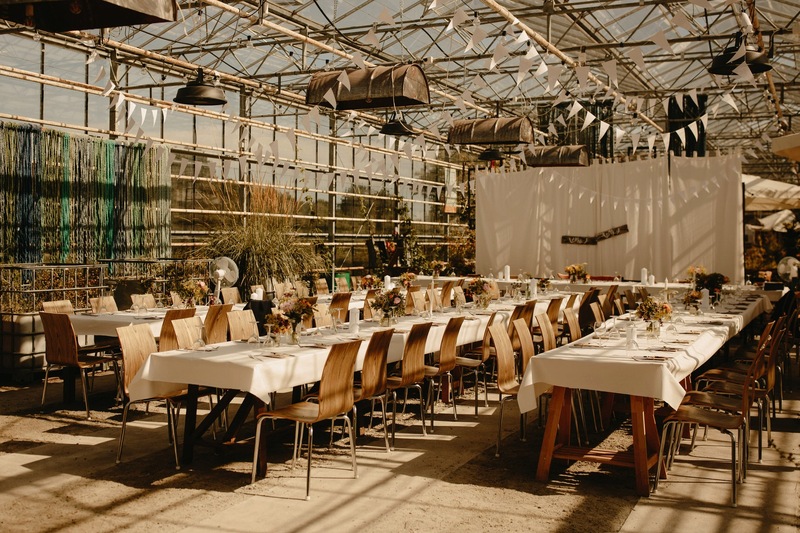 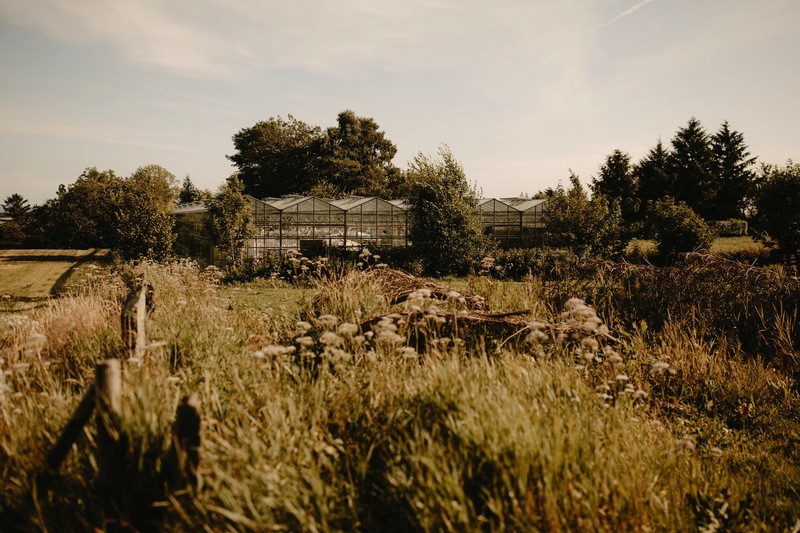 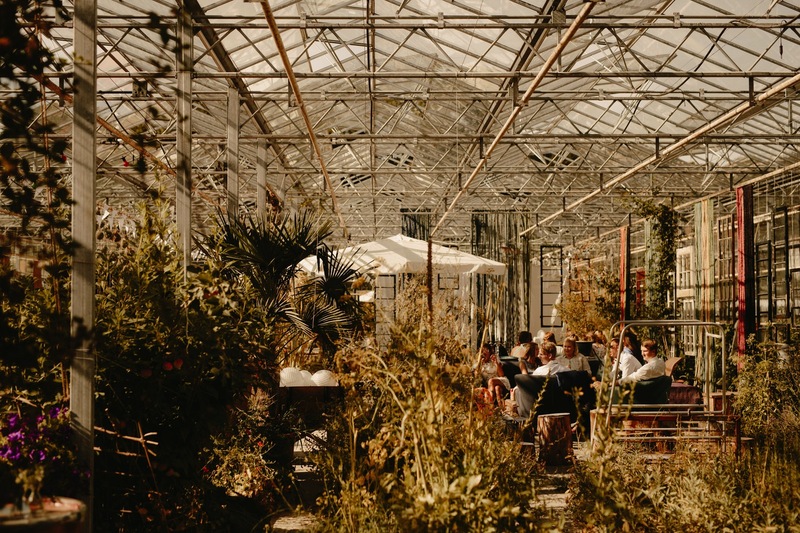 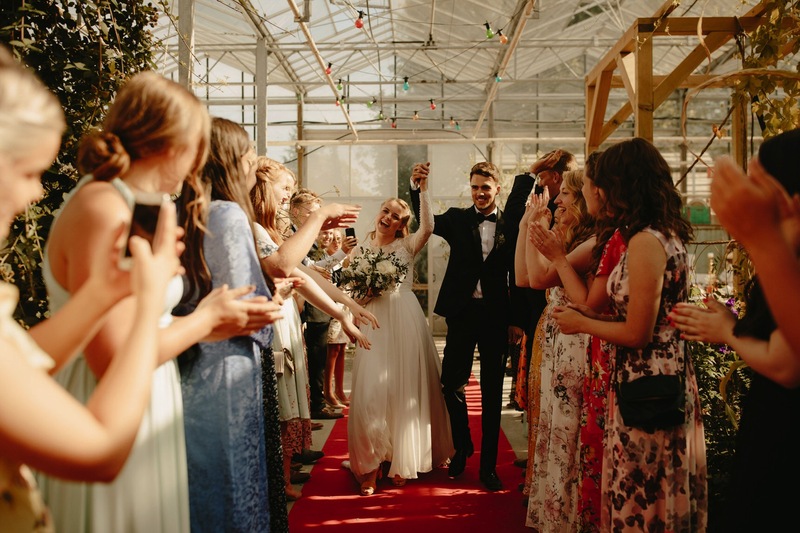 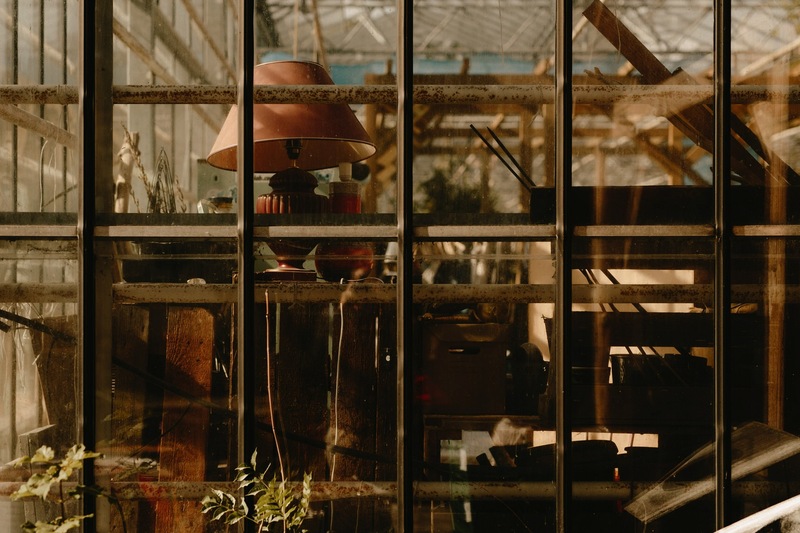 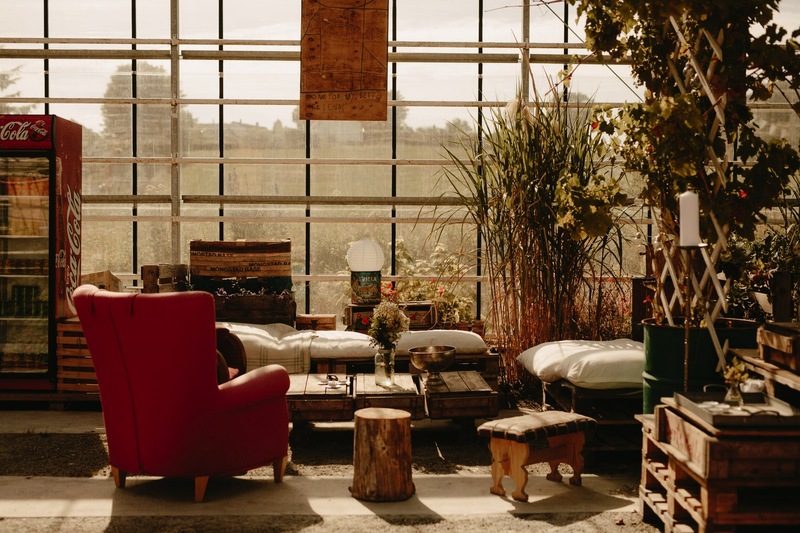 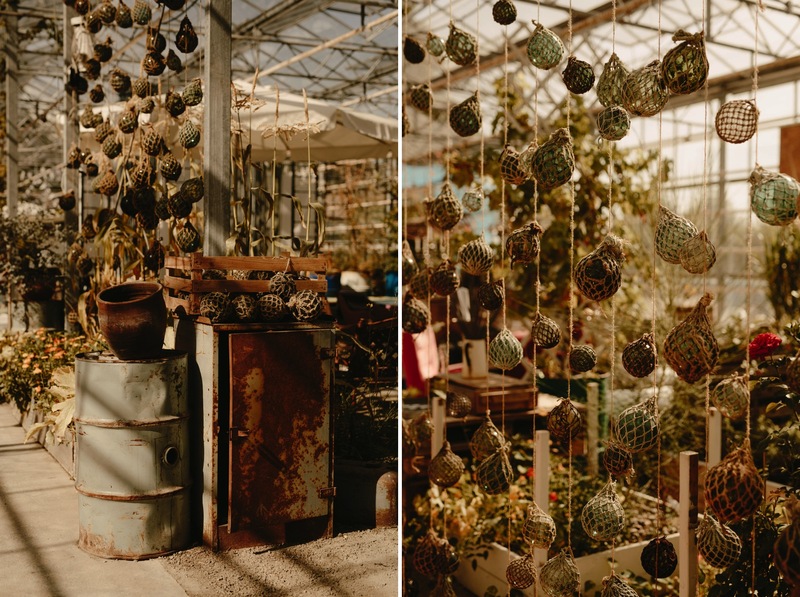 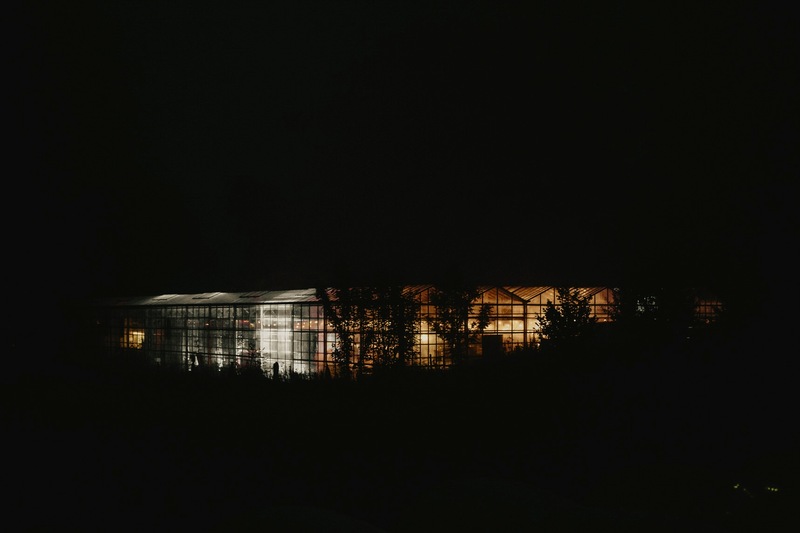 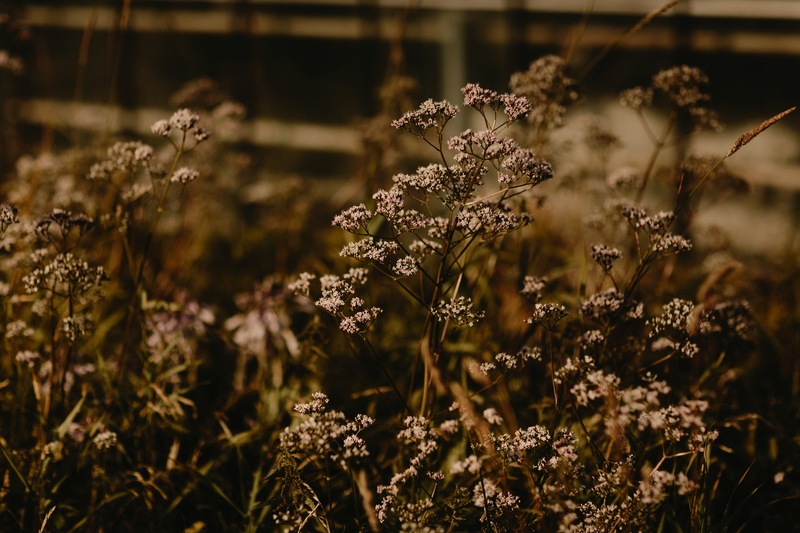 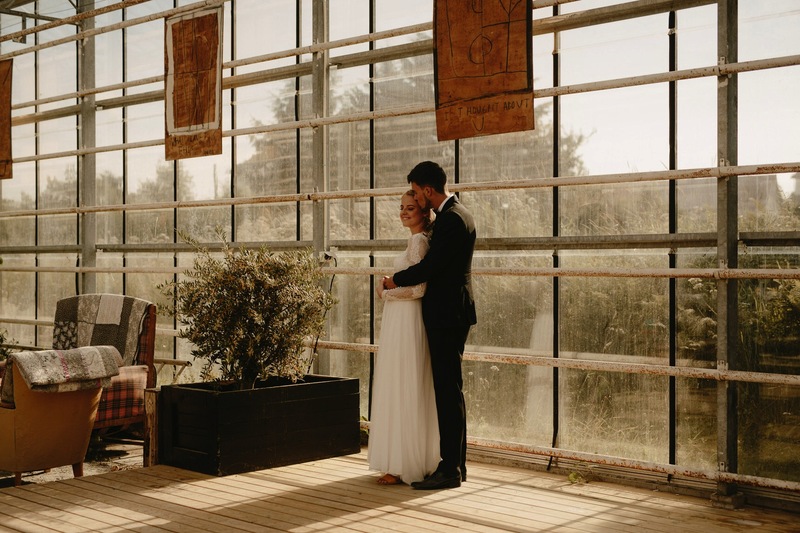 After the nuptials, everyone took a short ride to a wonderful greenhouse, perfectly decorated, soaking in all of that golden, summer light. 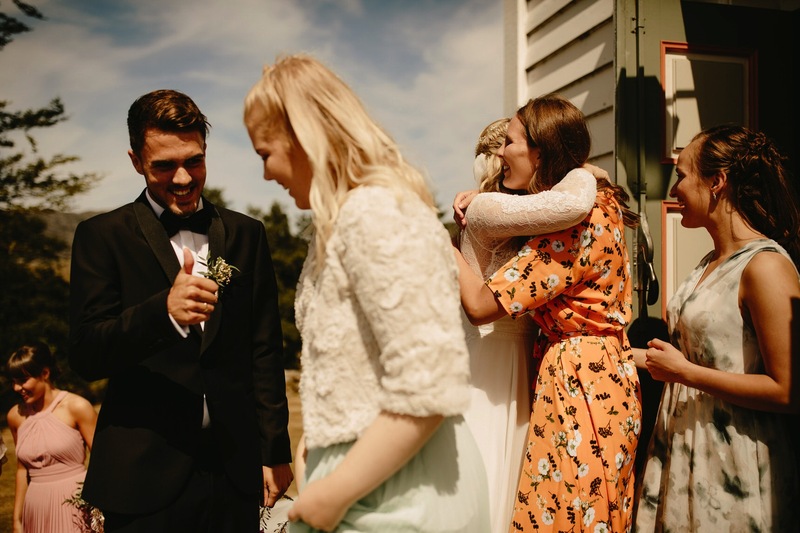 Leon and Maren’s friends and family played such a vital part in their day. 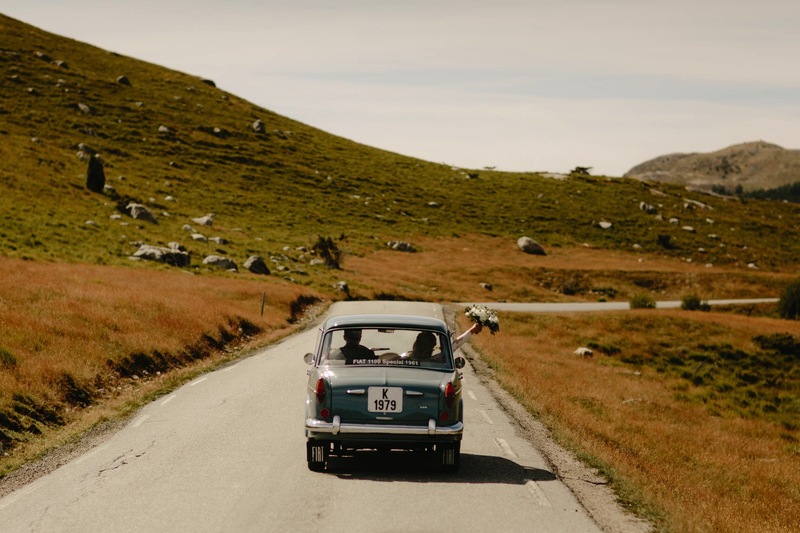 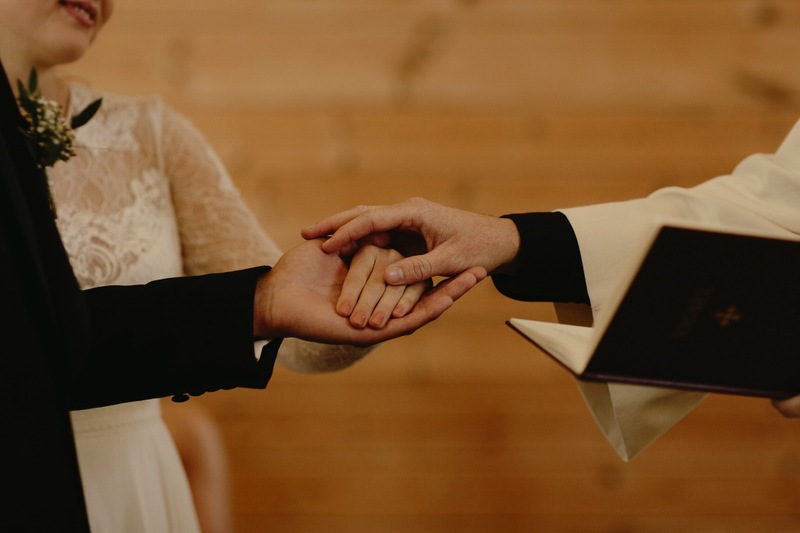 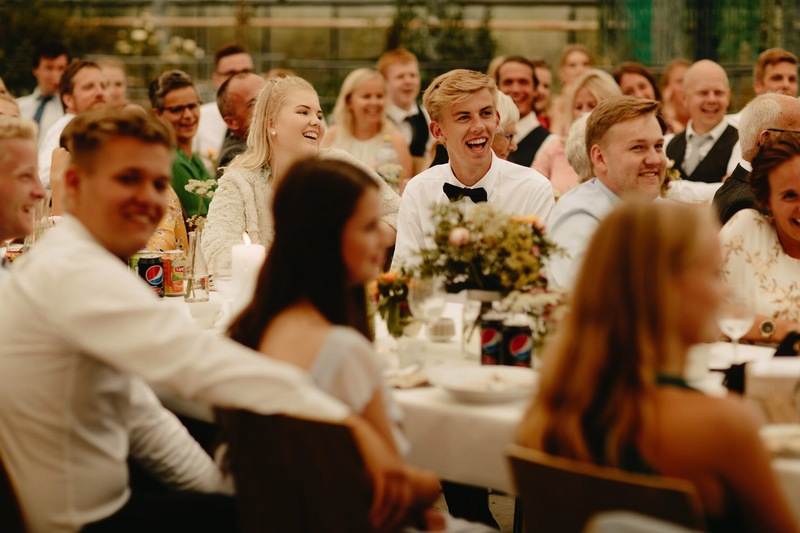 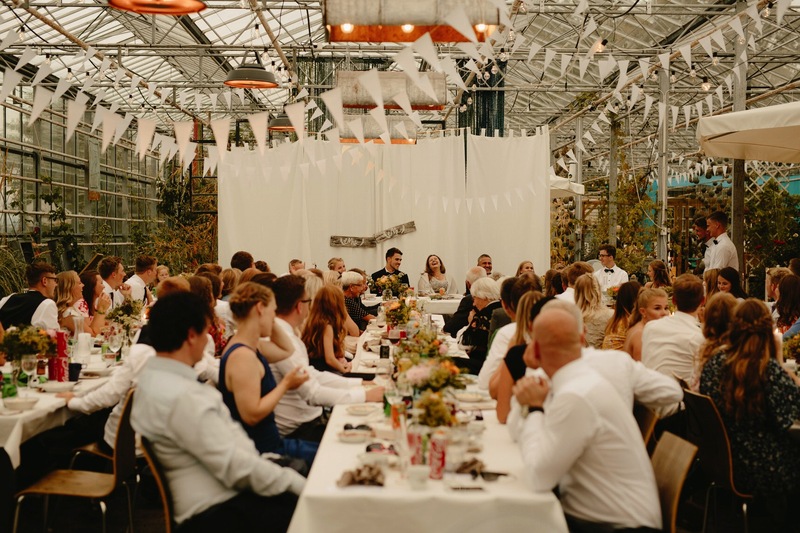 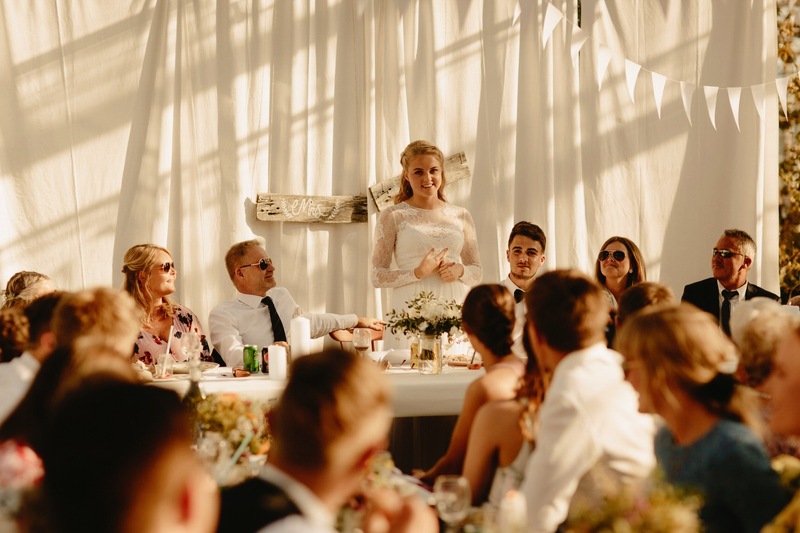 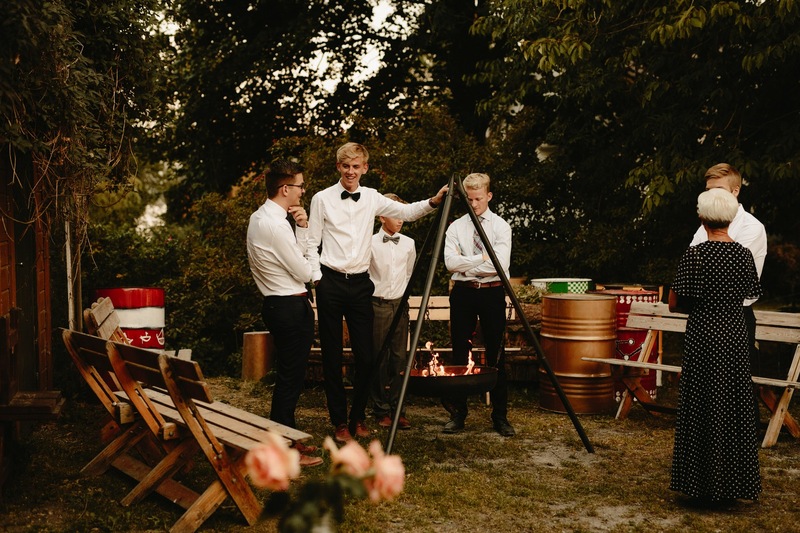 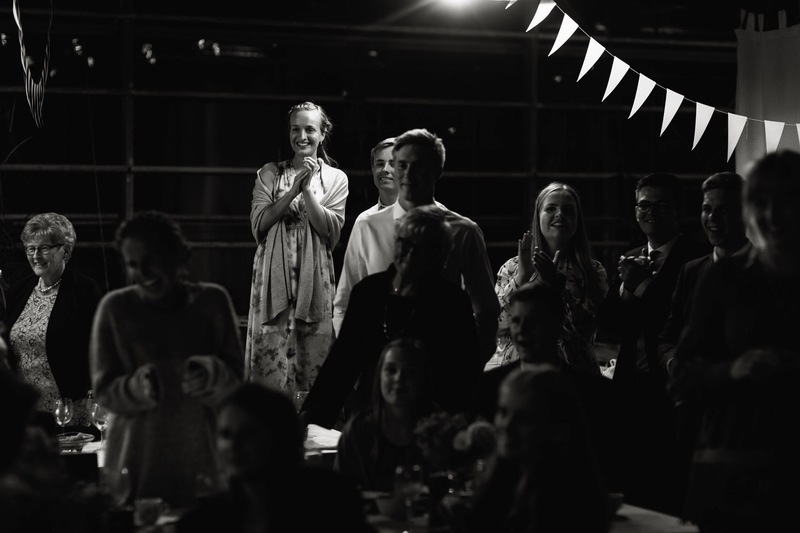 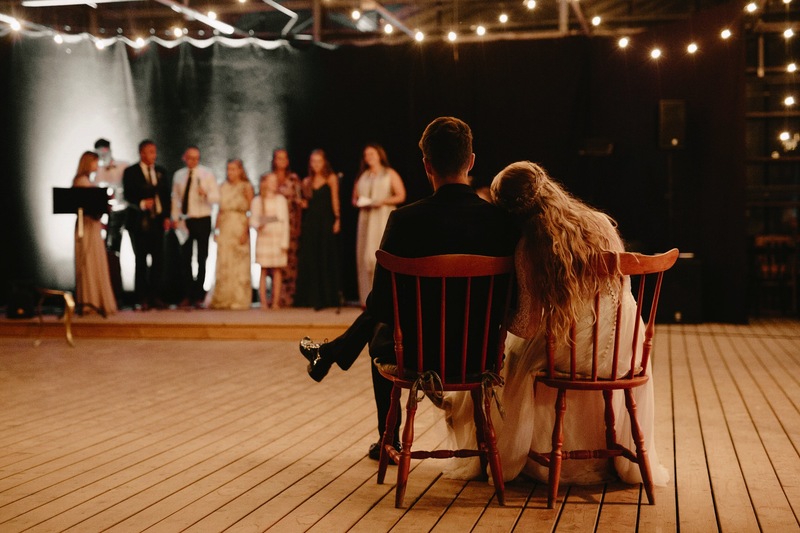 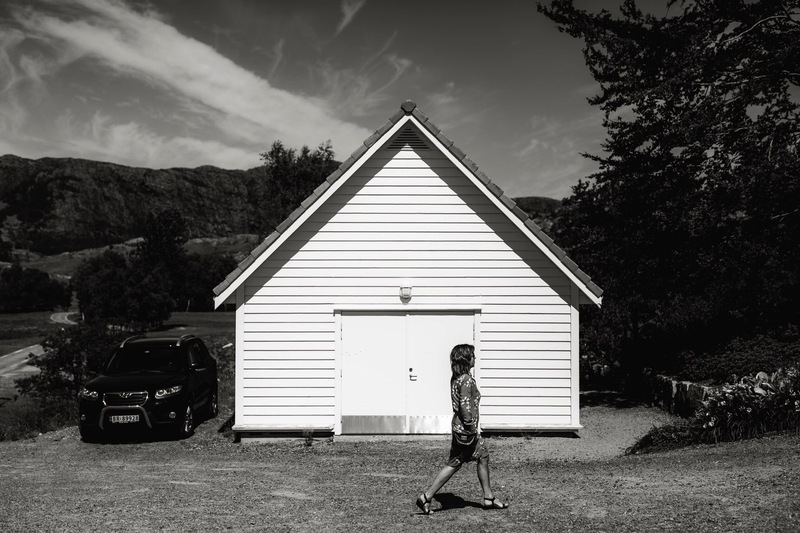 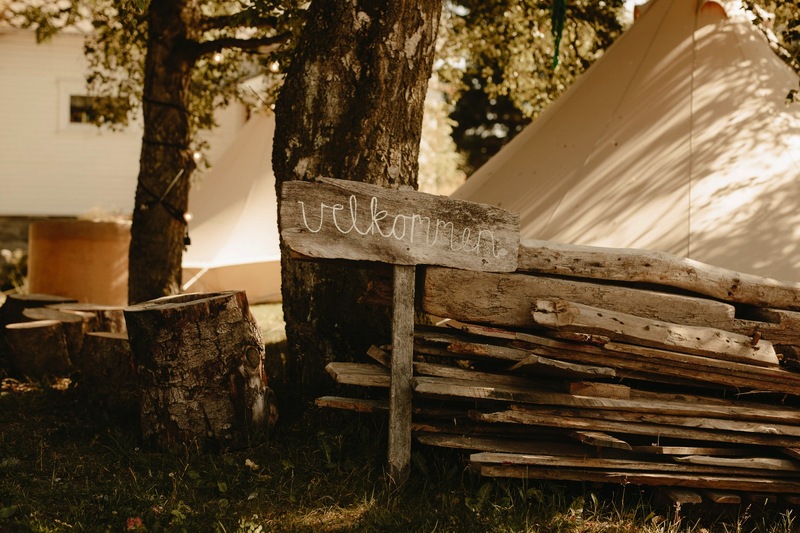 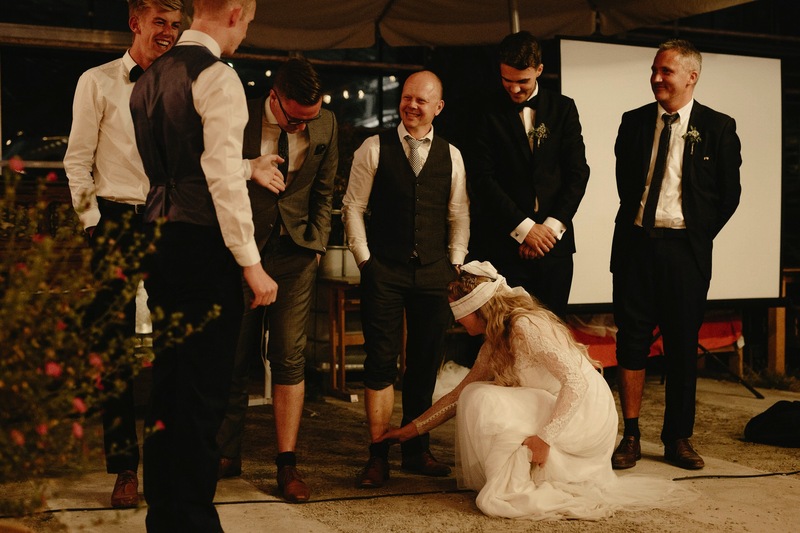 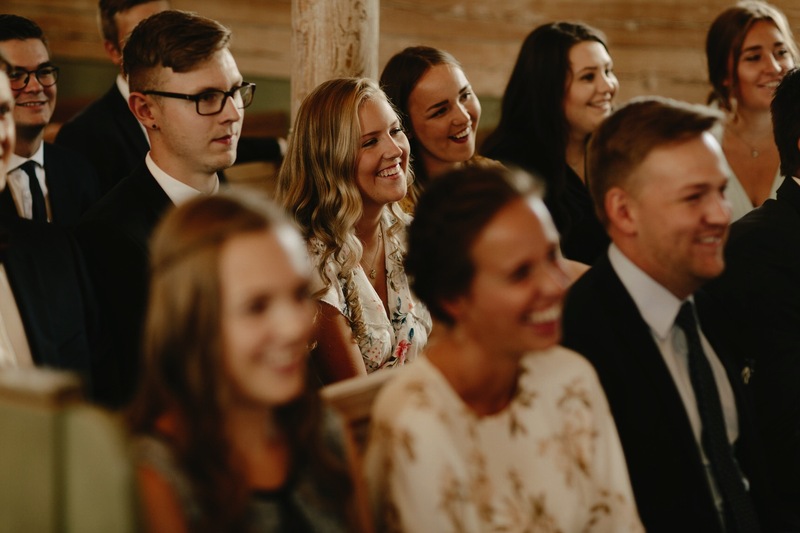 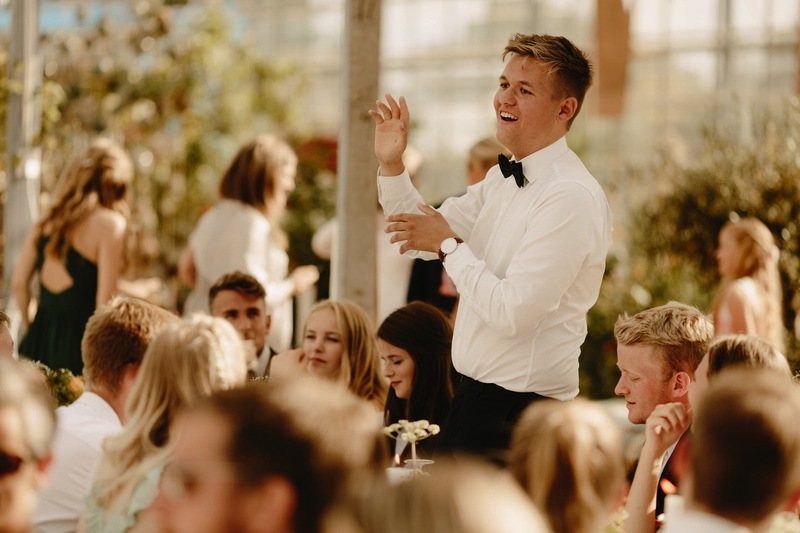 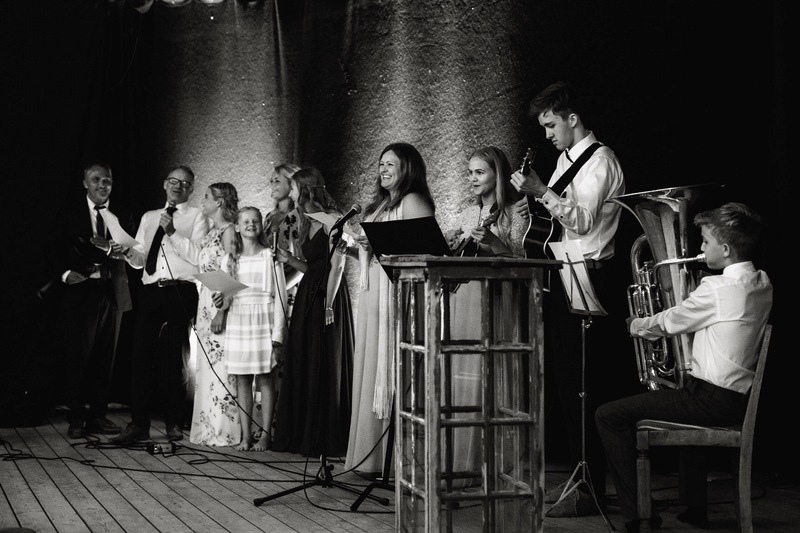  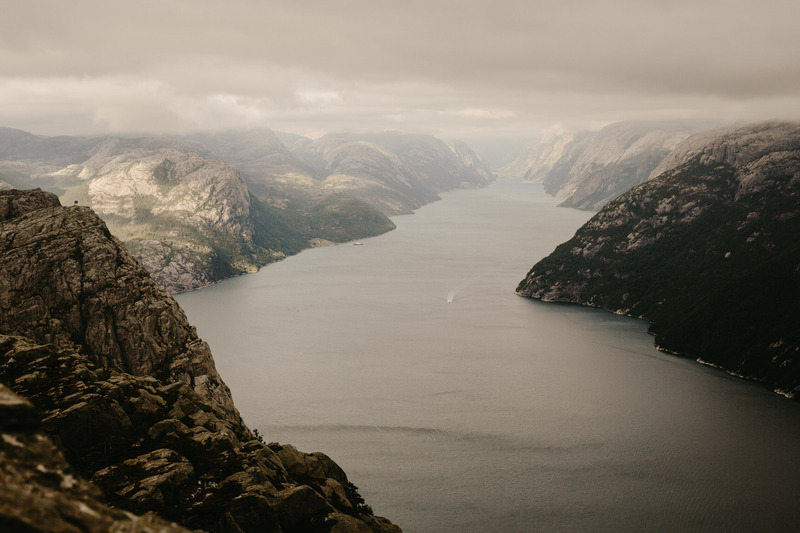 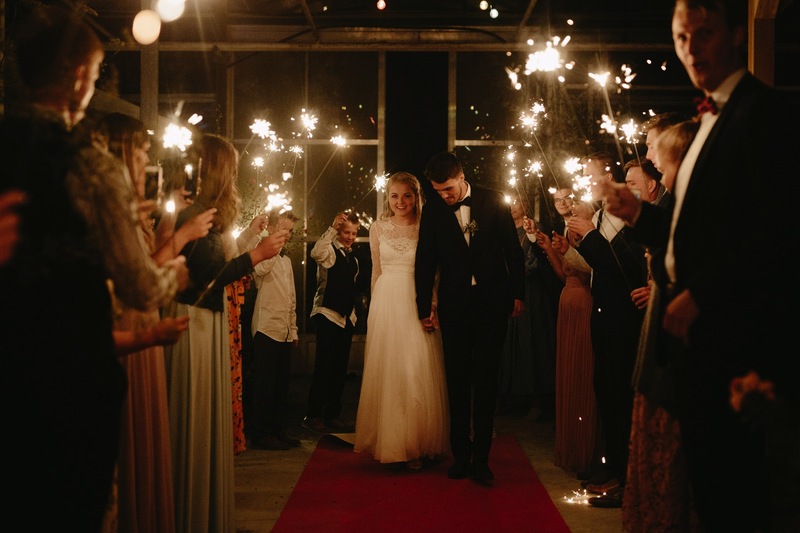 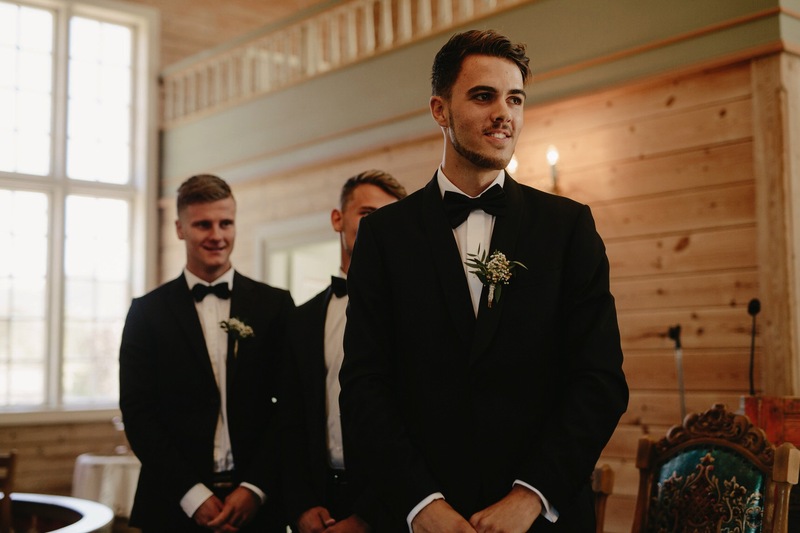 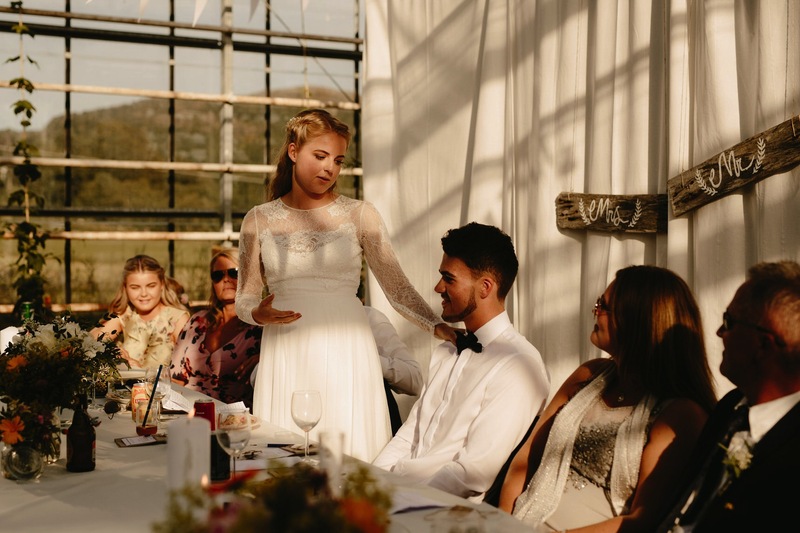 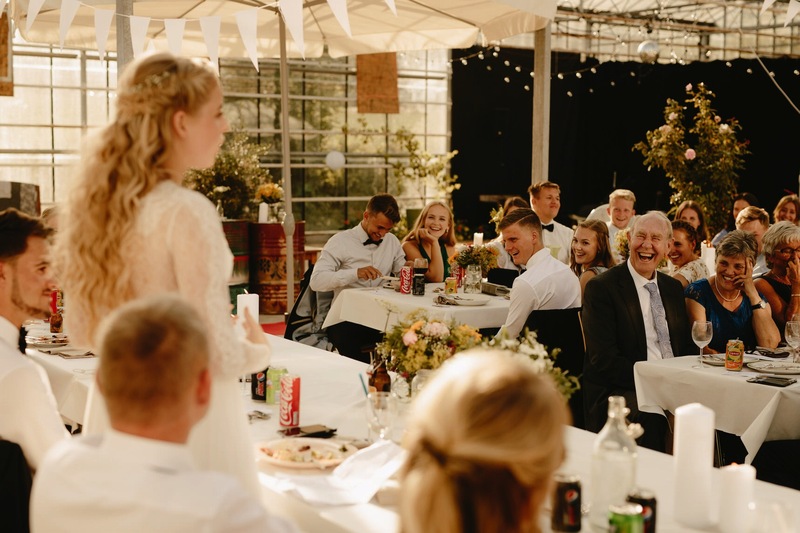 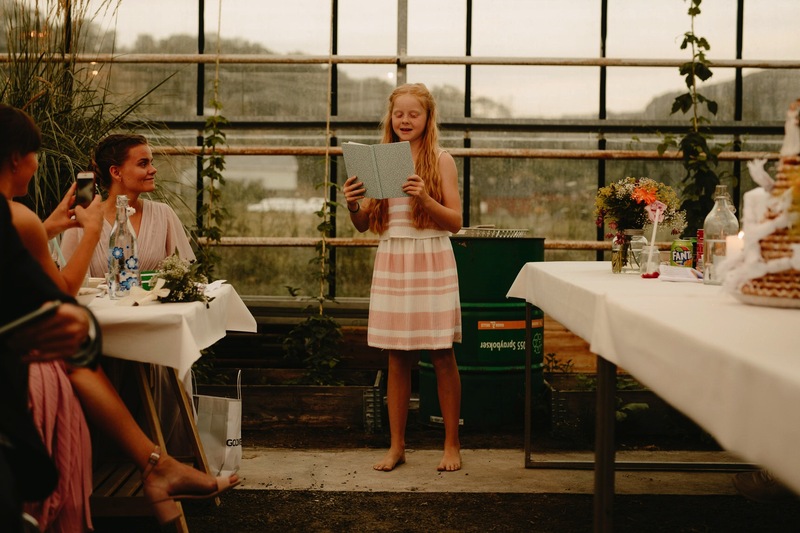 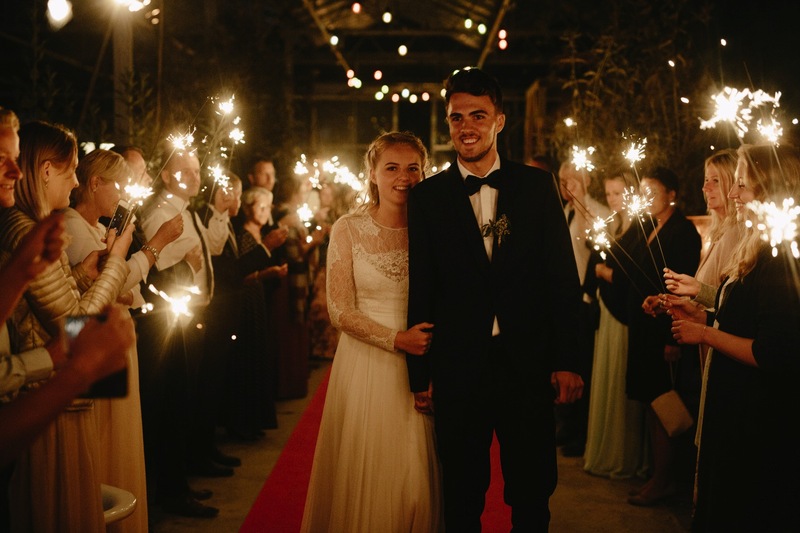 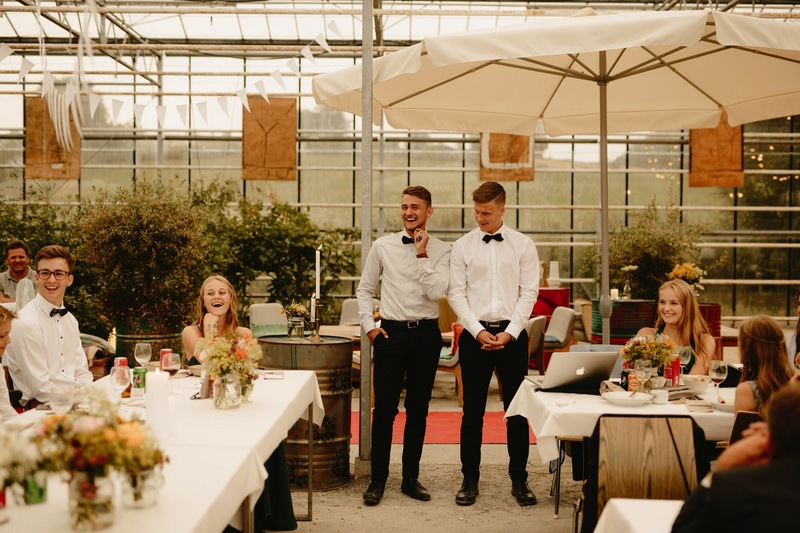 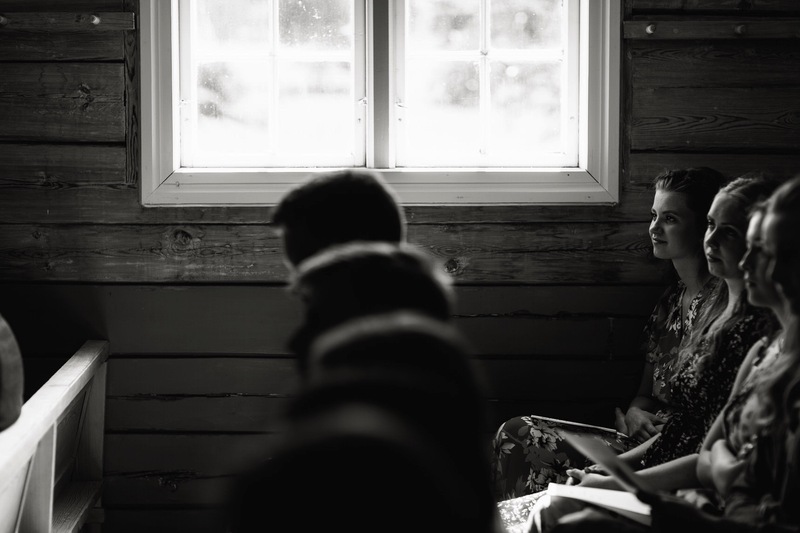 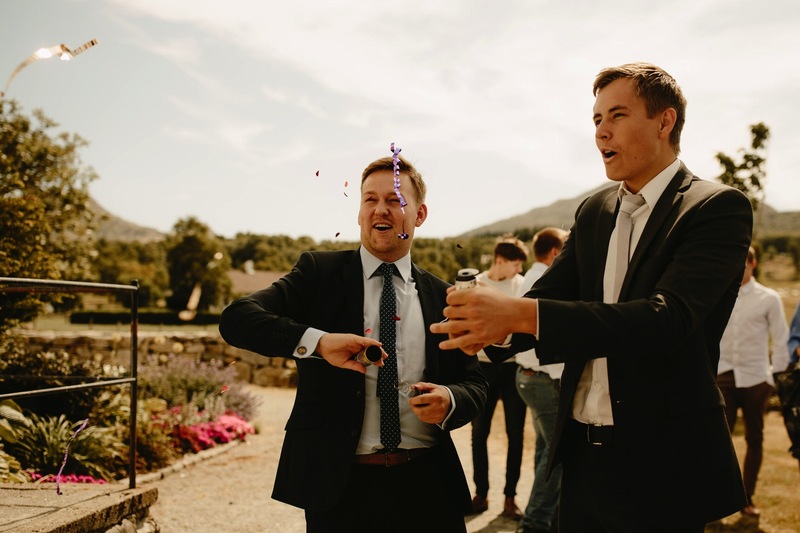 As is traditional with Norwegian weddings, anyone who wants to share a speech is able to. 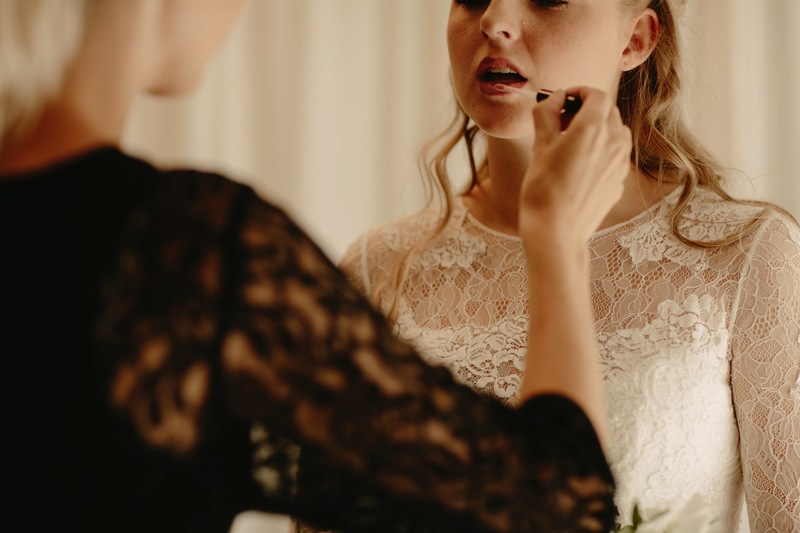 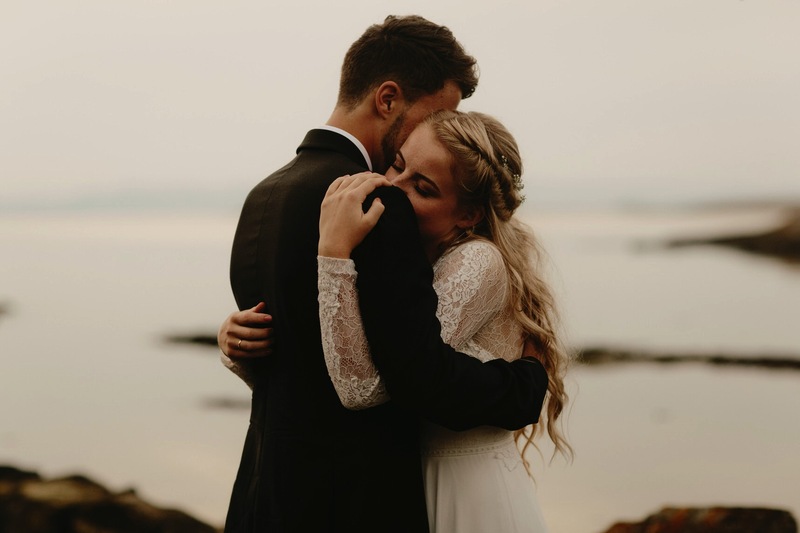 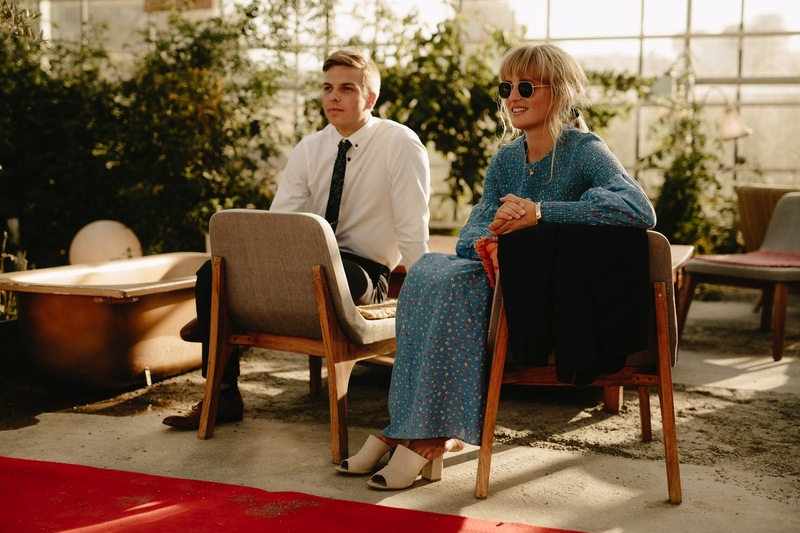 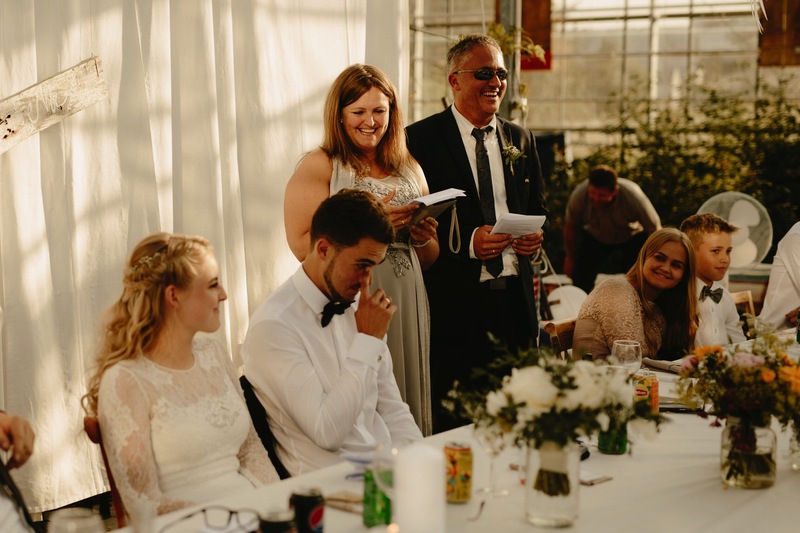 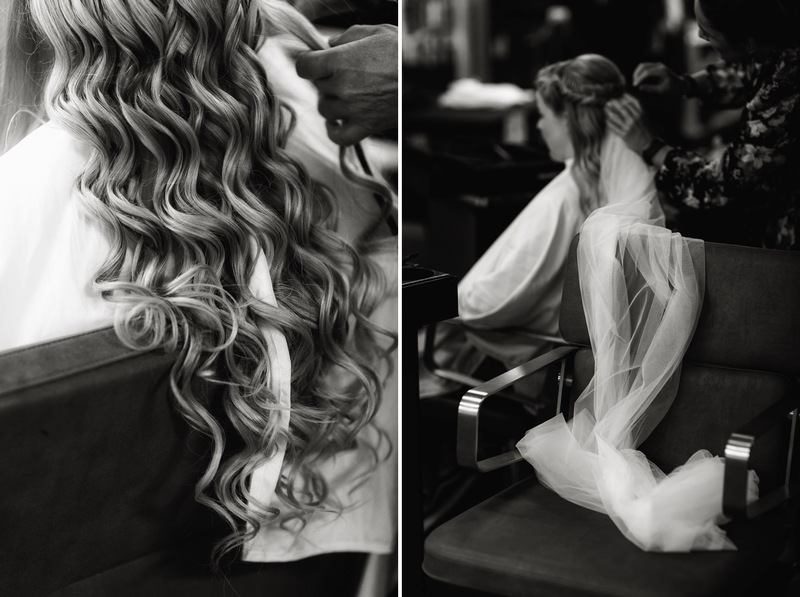 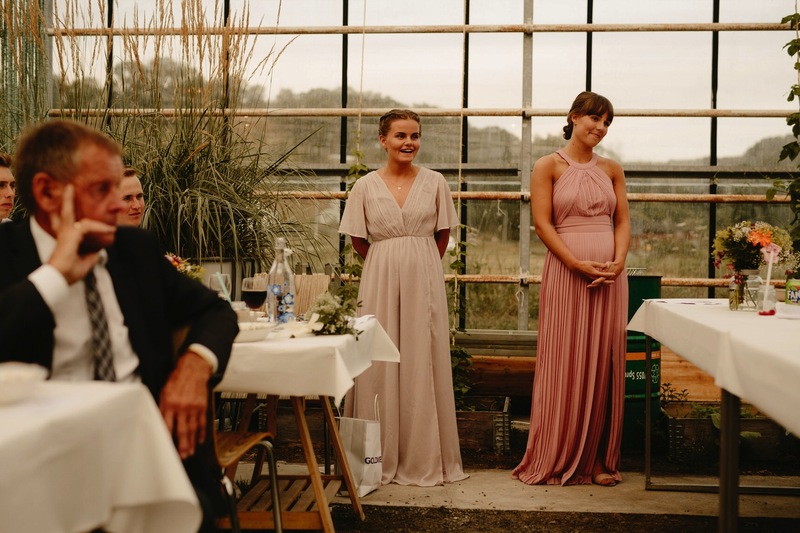 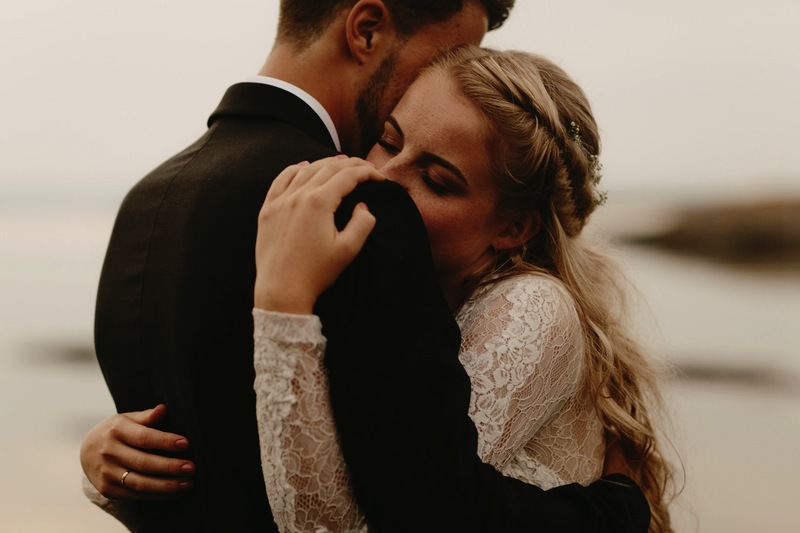 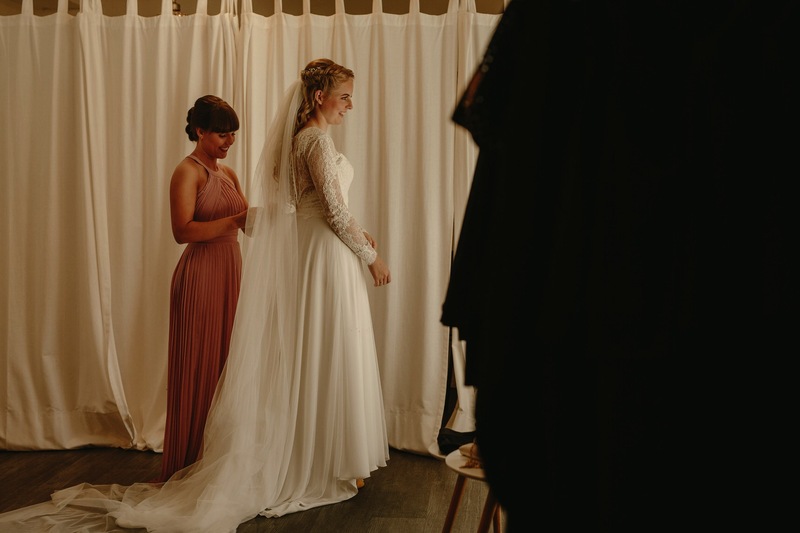 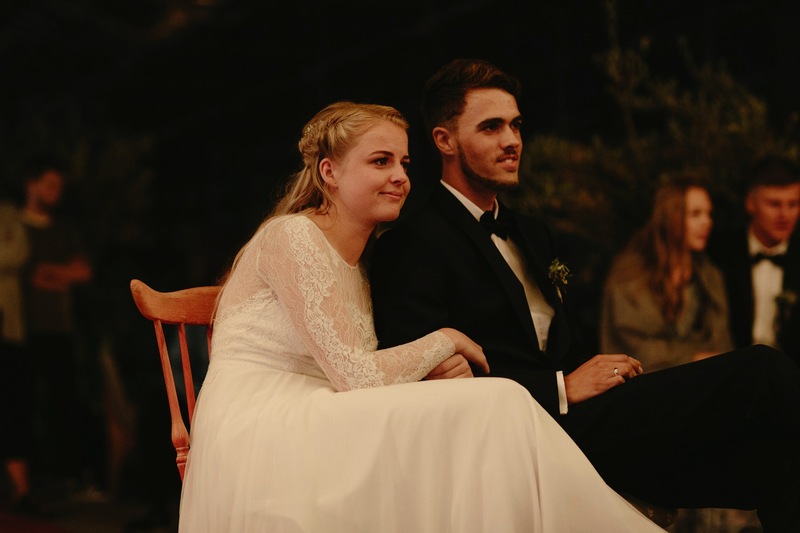 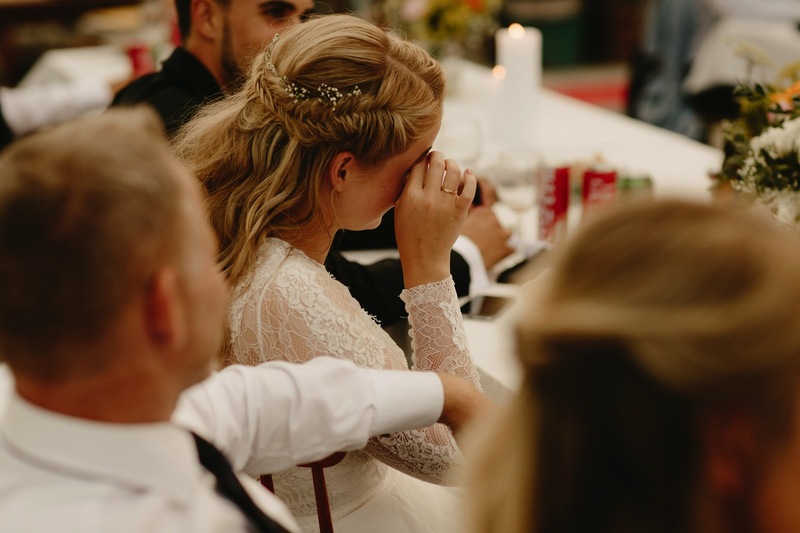 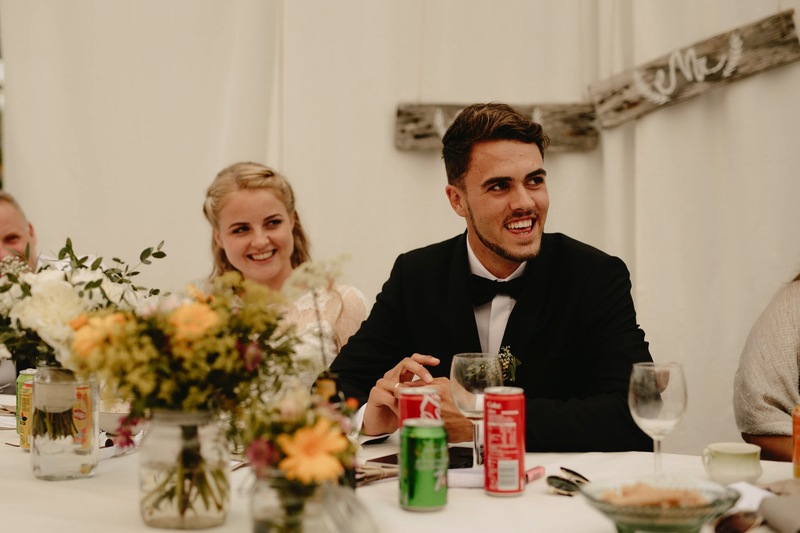 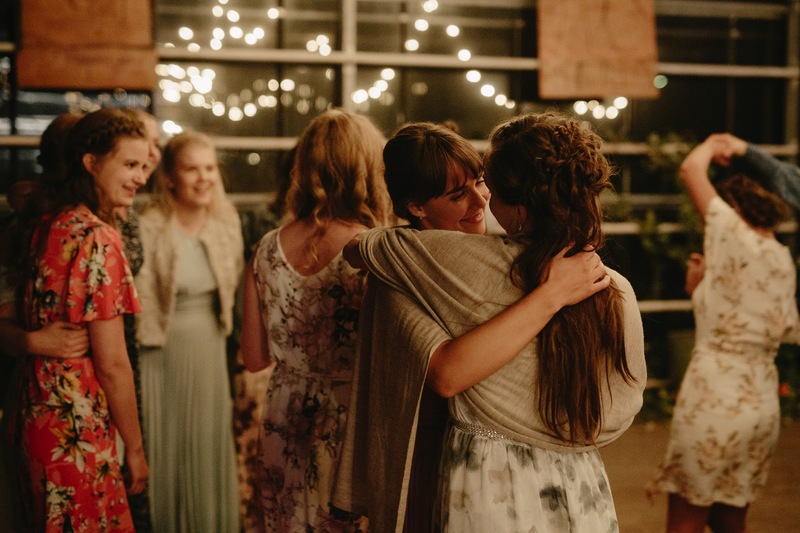 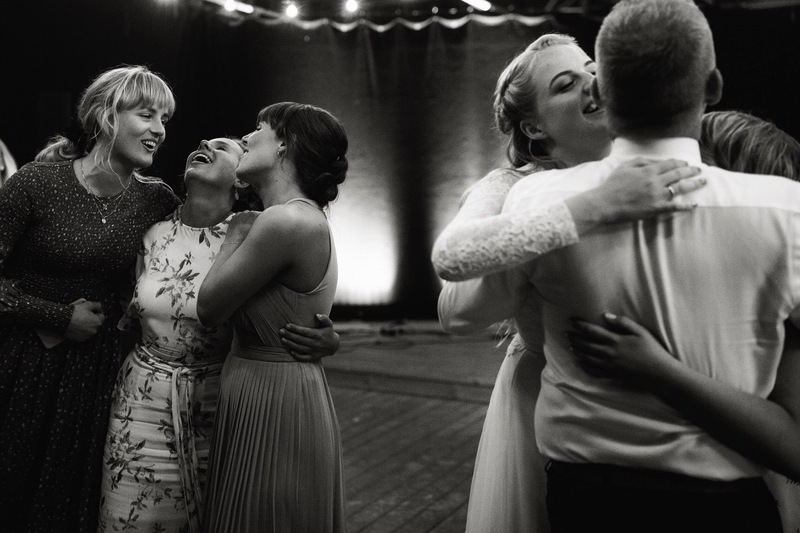 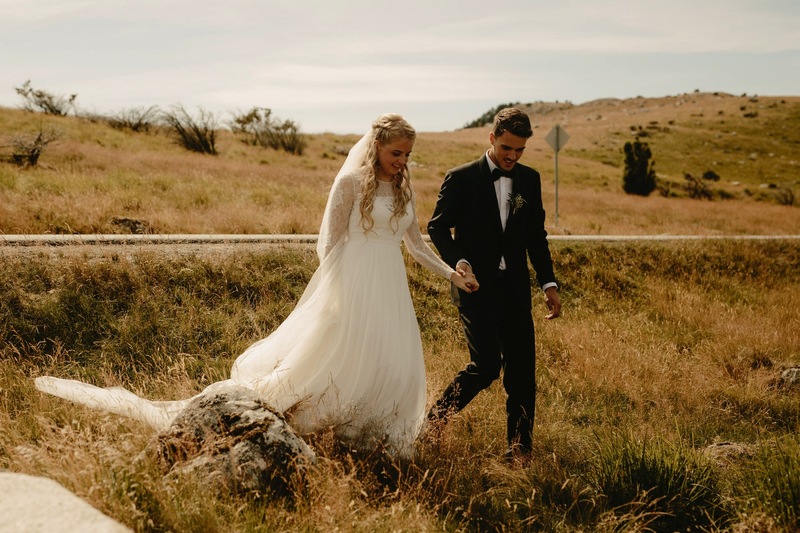 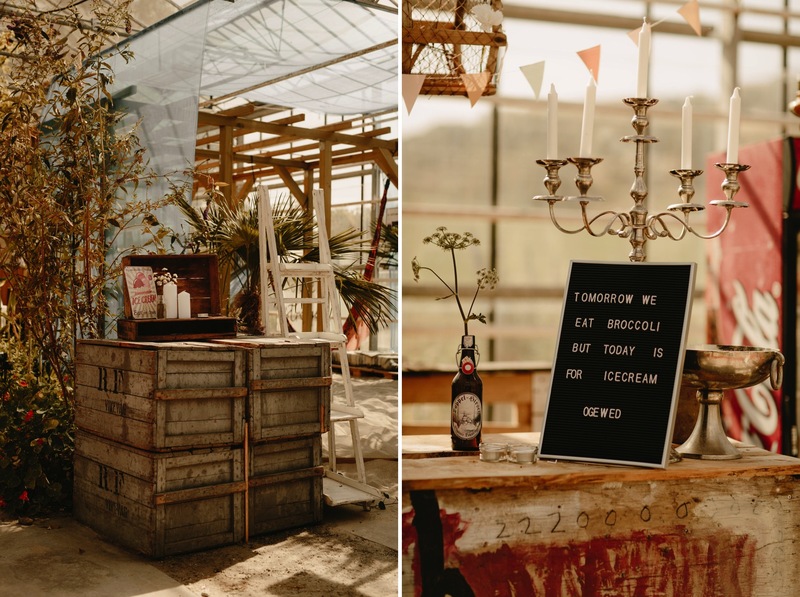 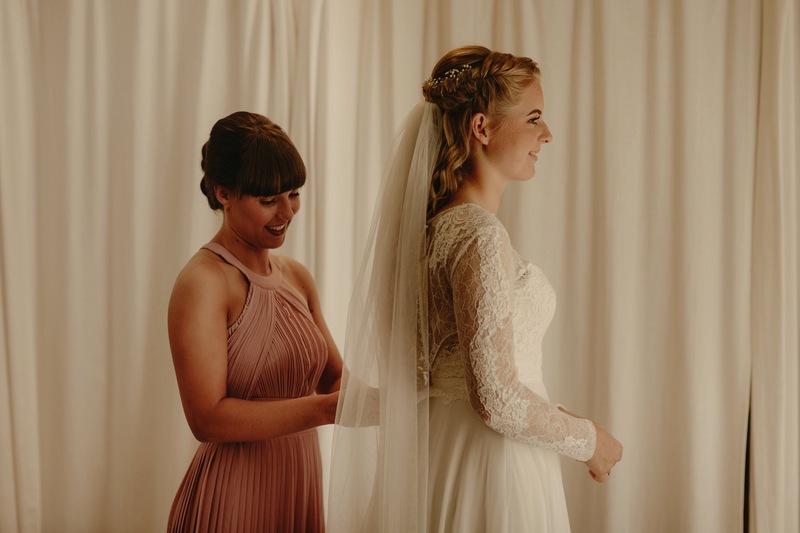 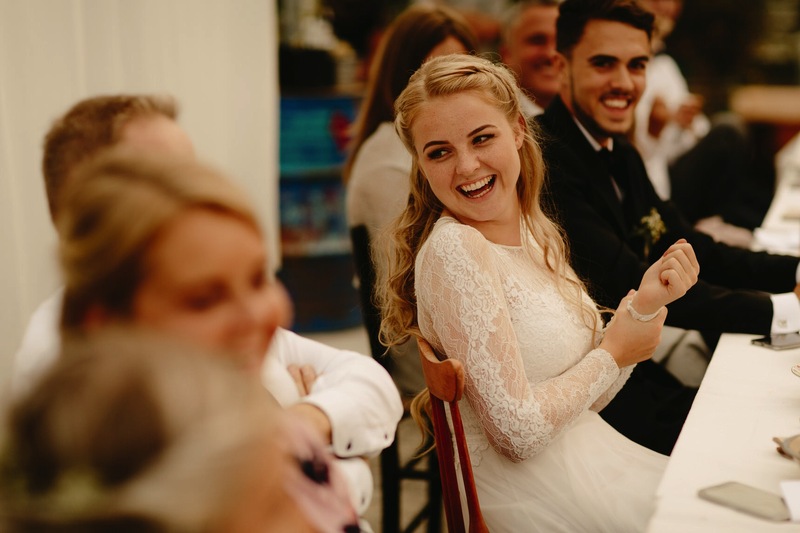 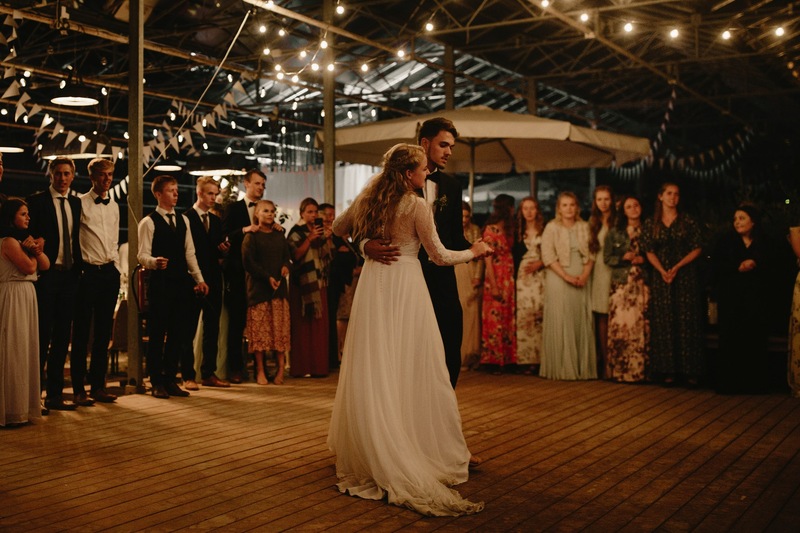 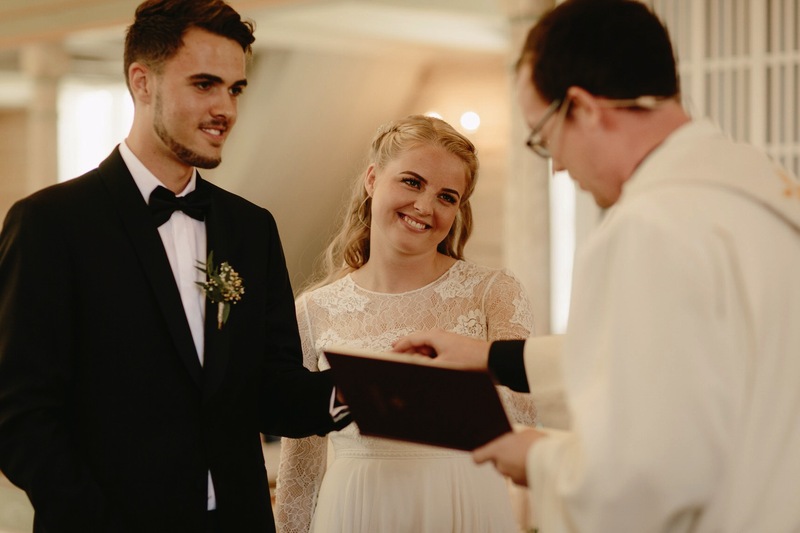 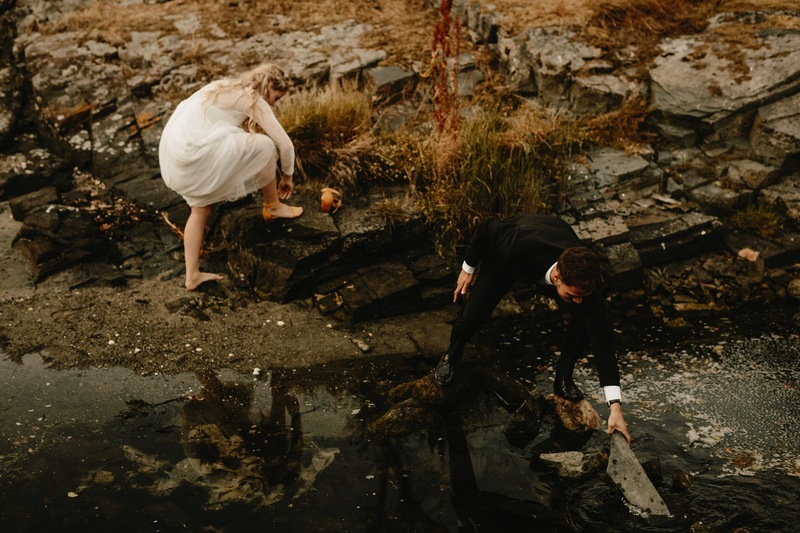 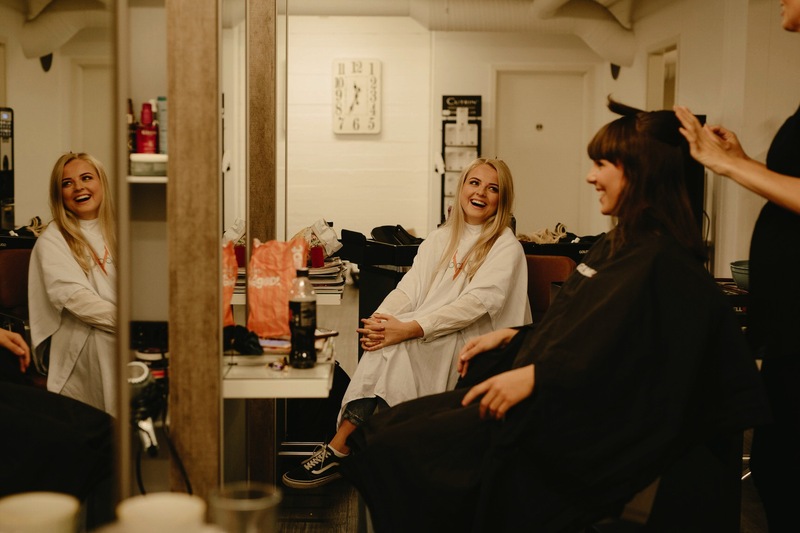 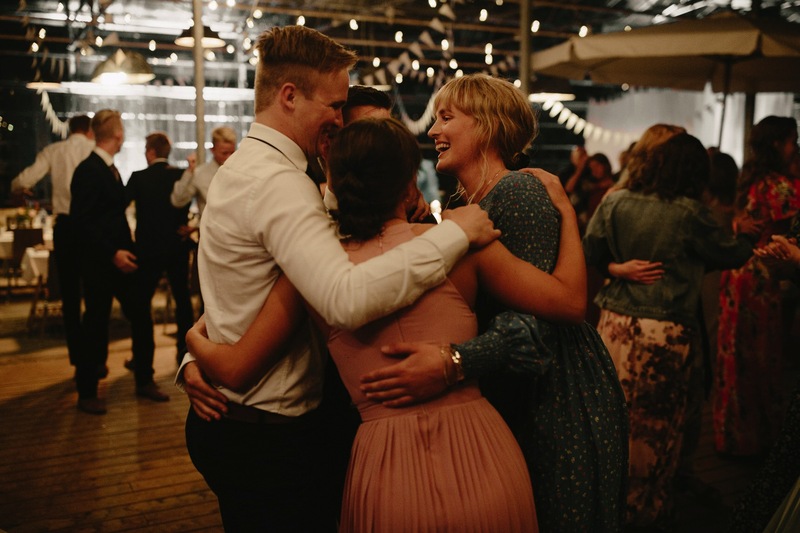 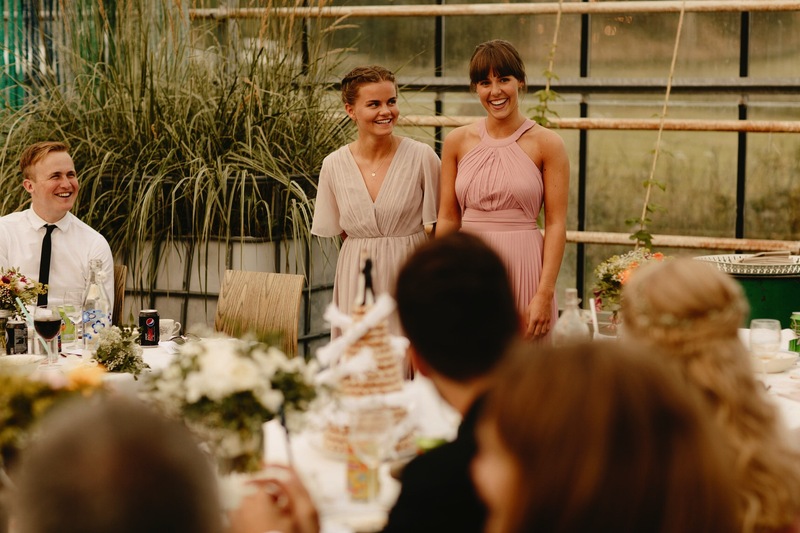 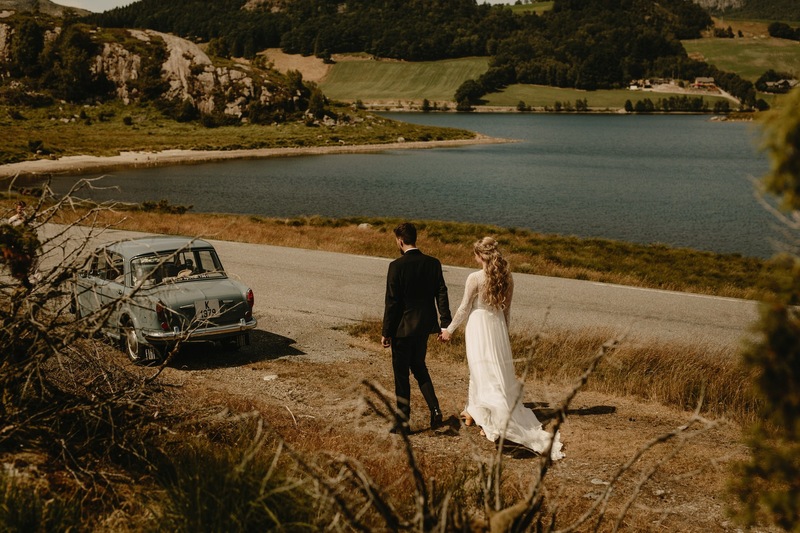 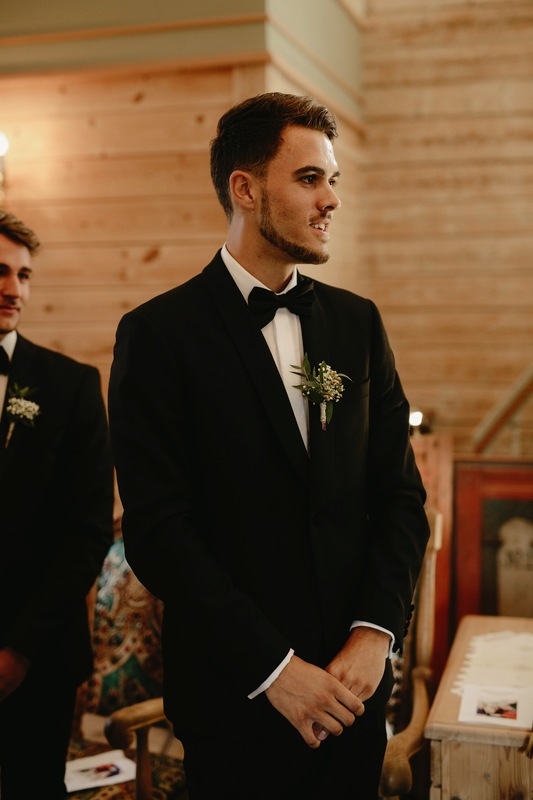 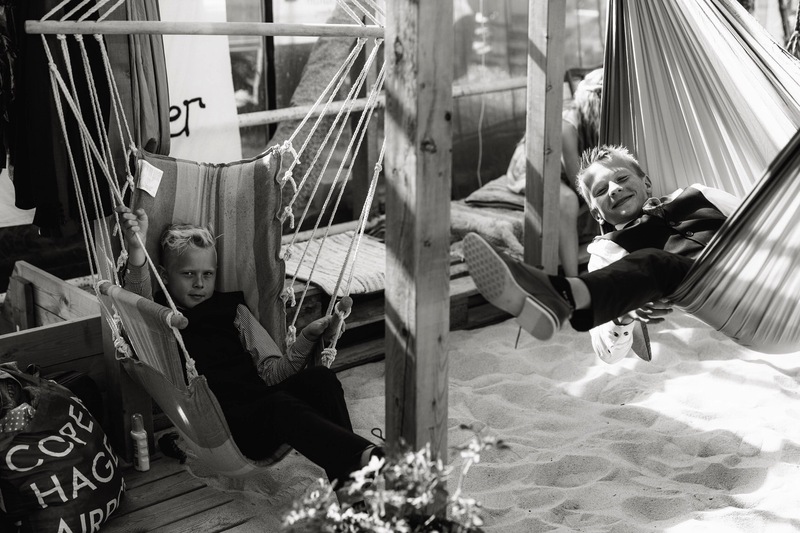 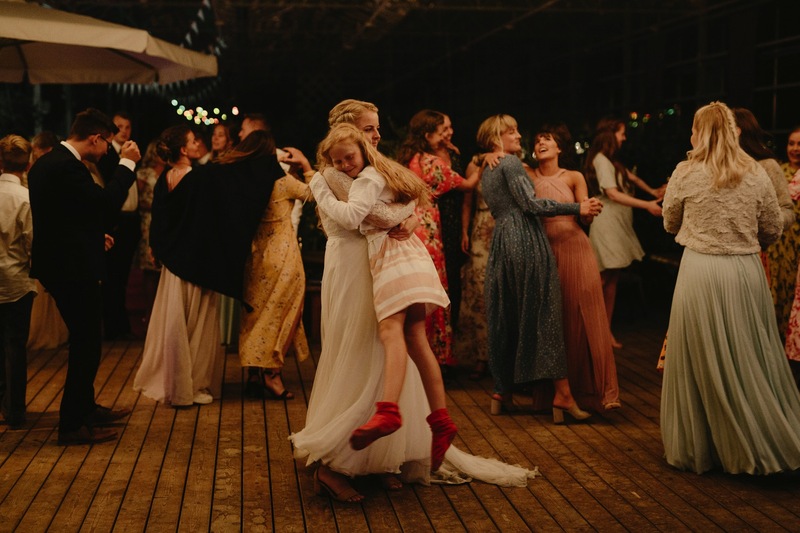 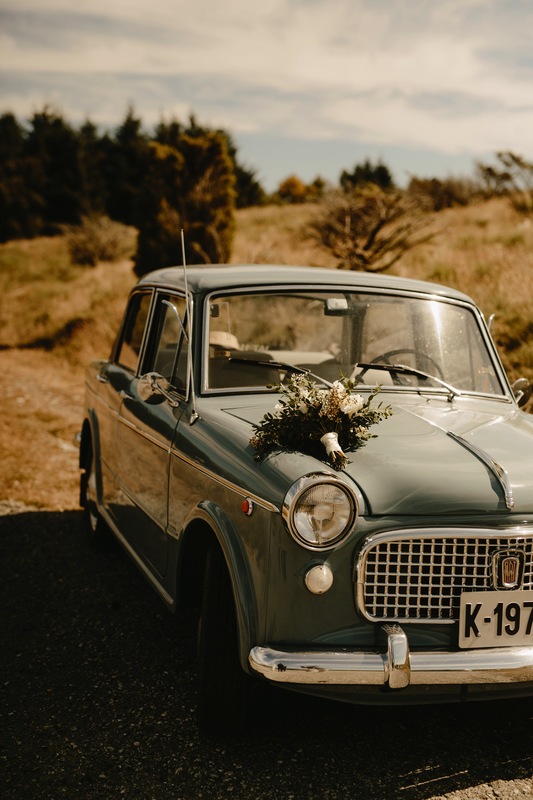 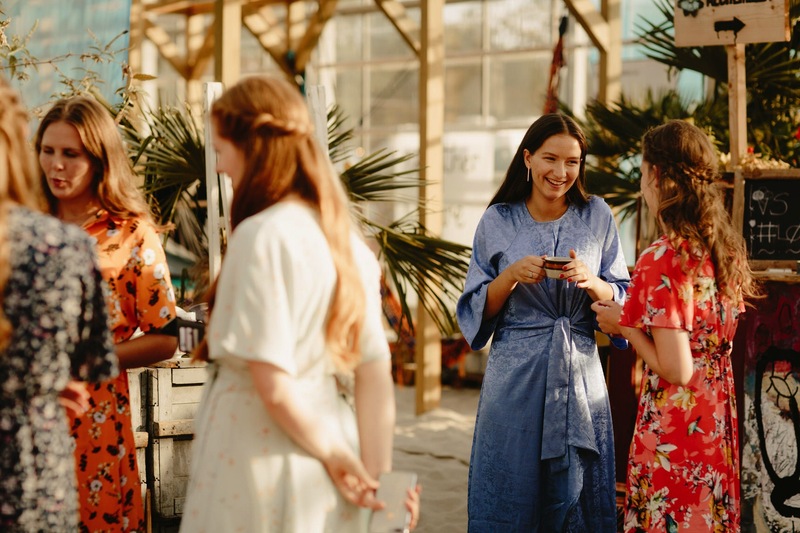 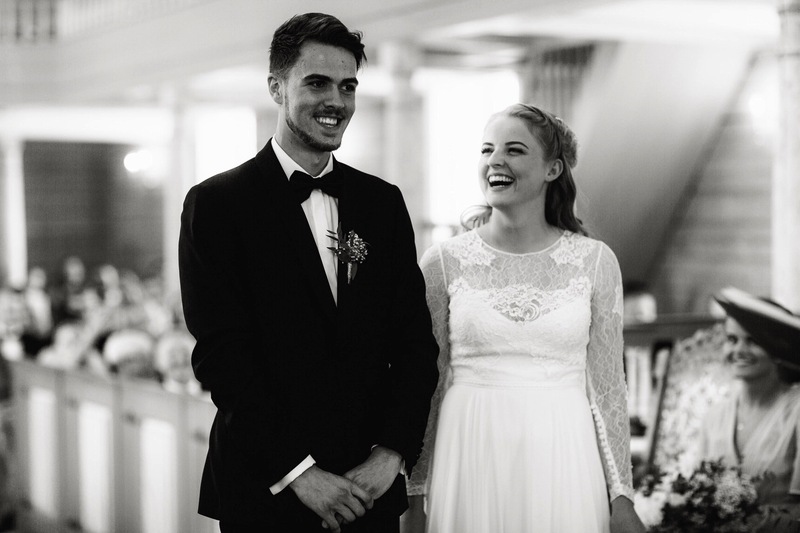 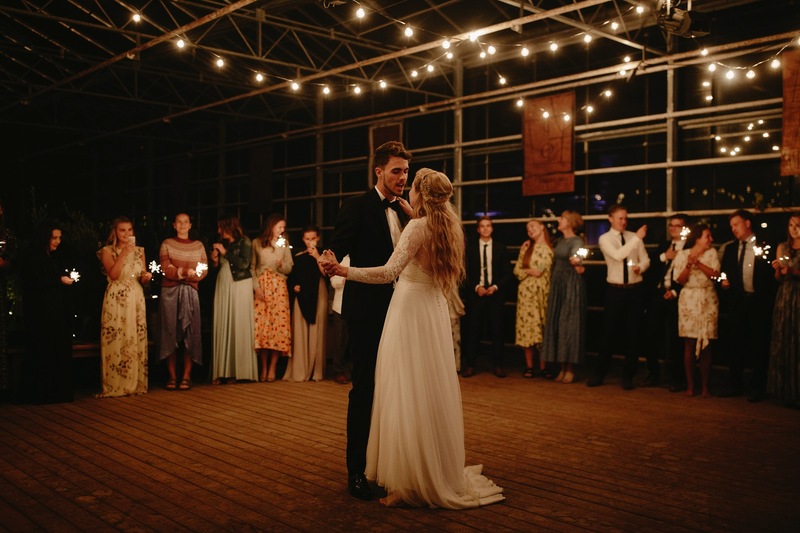 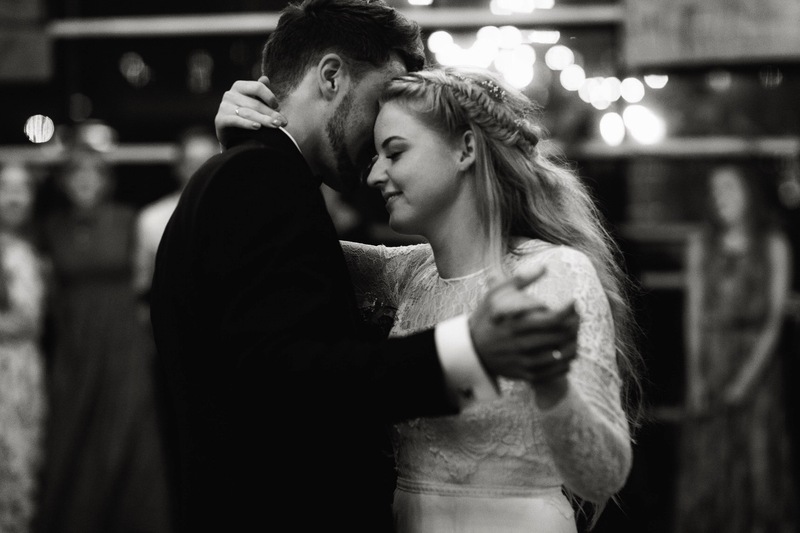 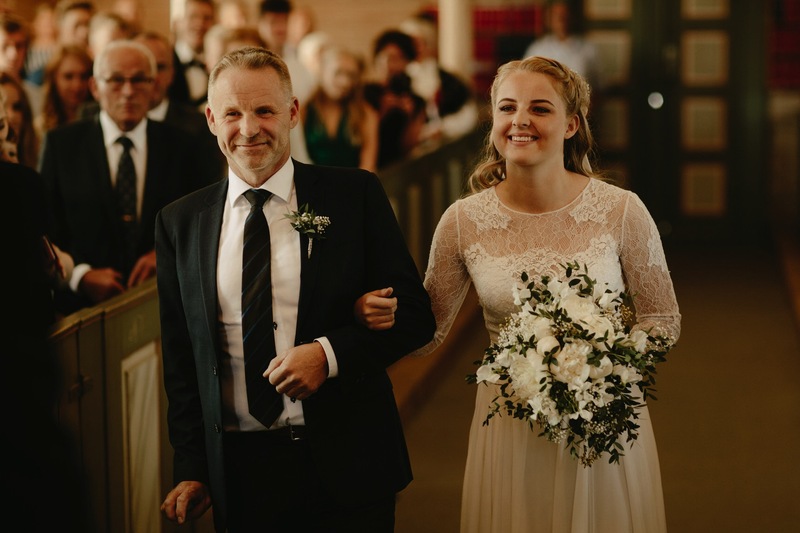 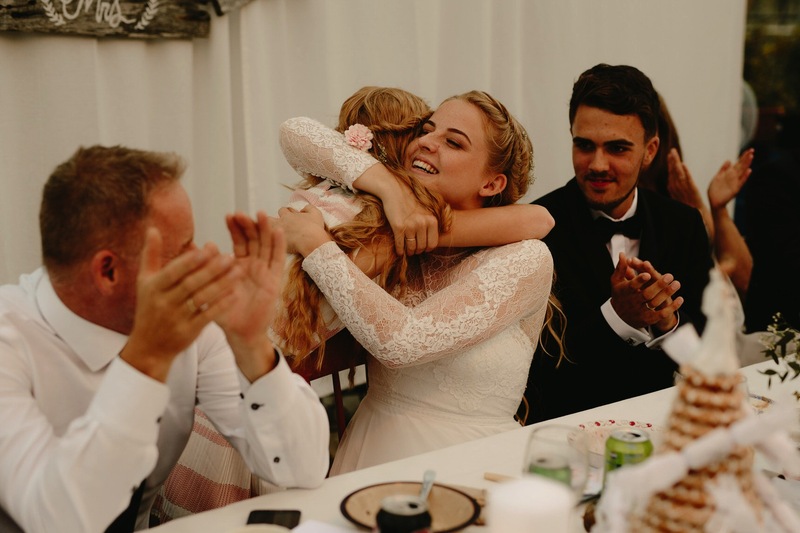 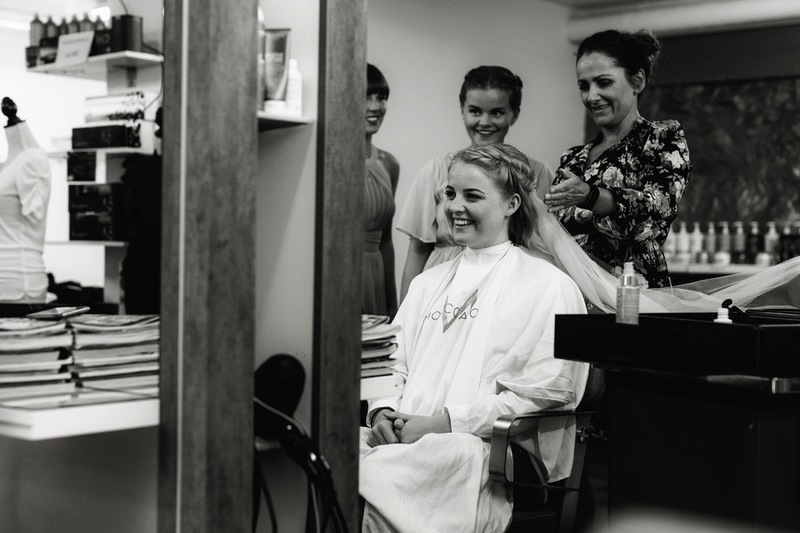 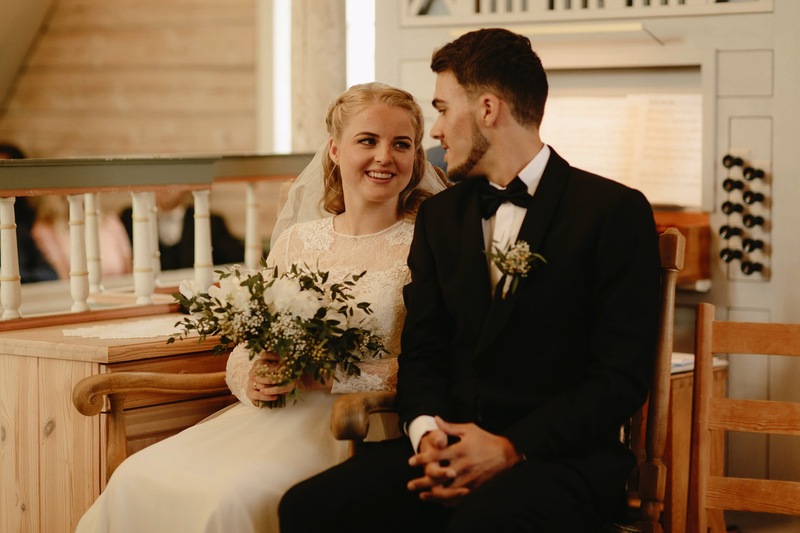 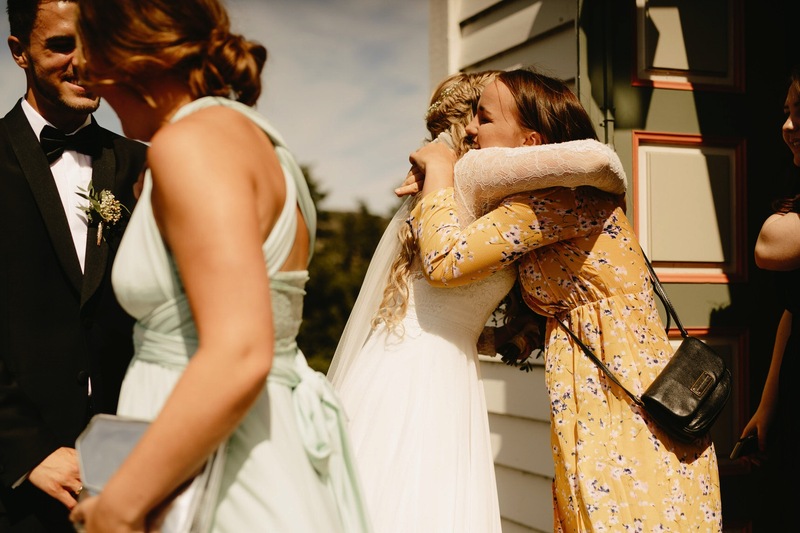 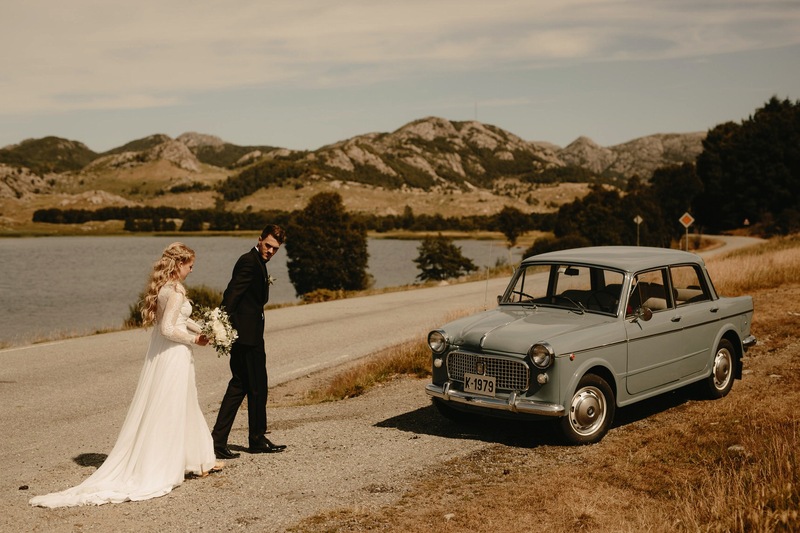 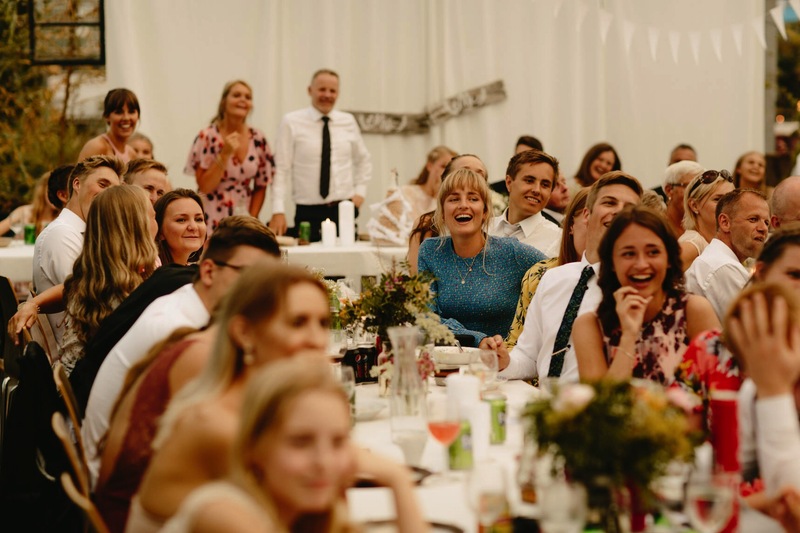 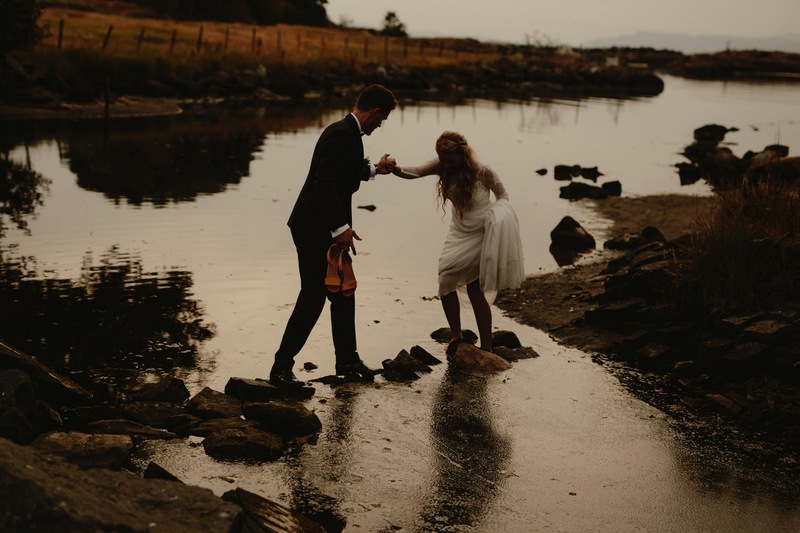 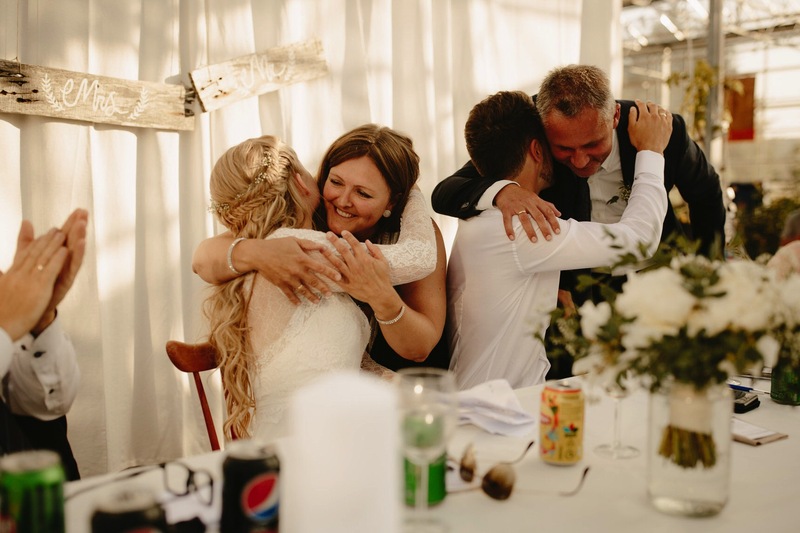 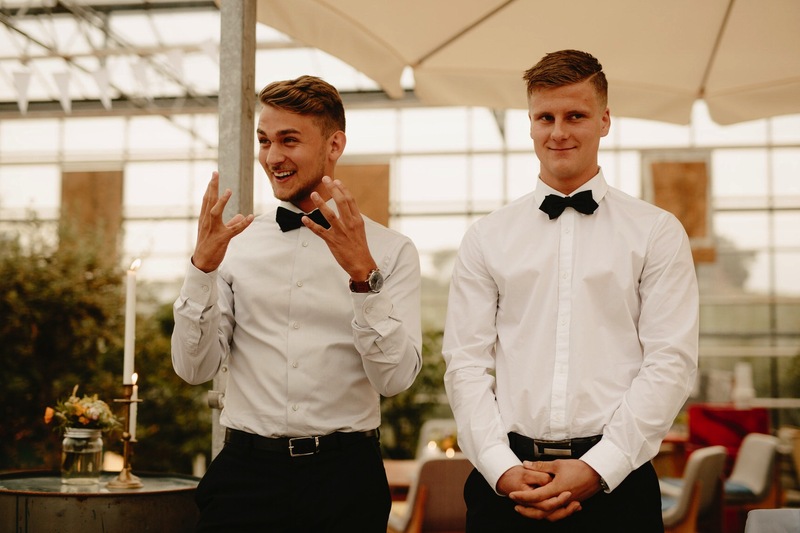 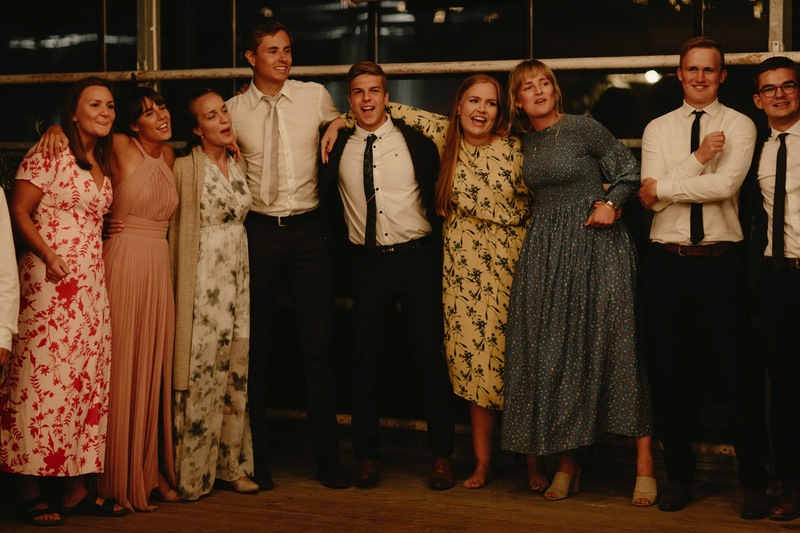 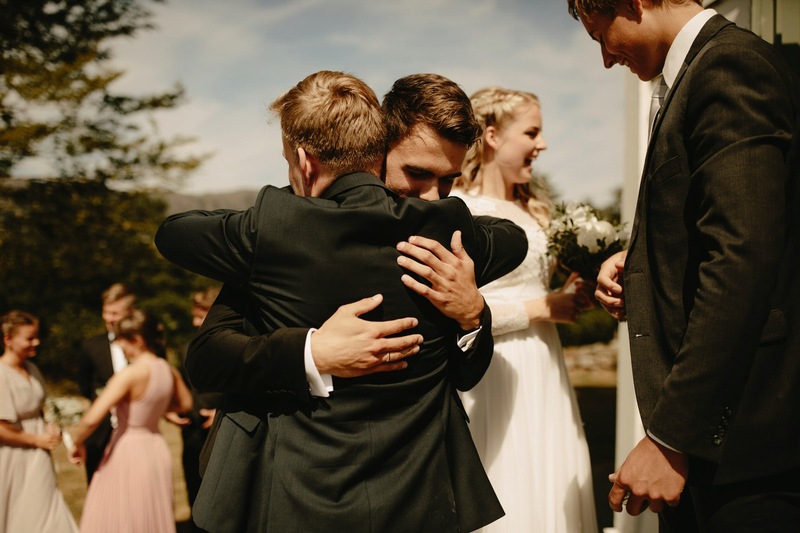 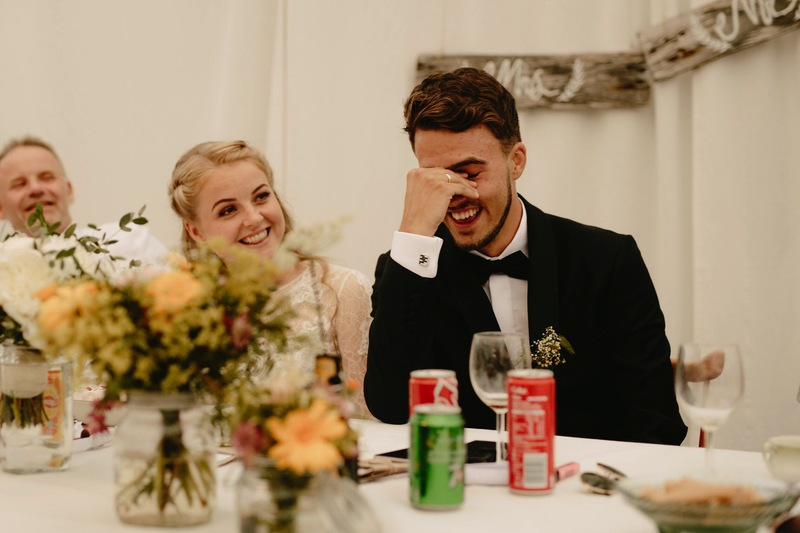 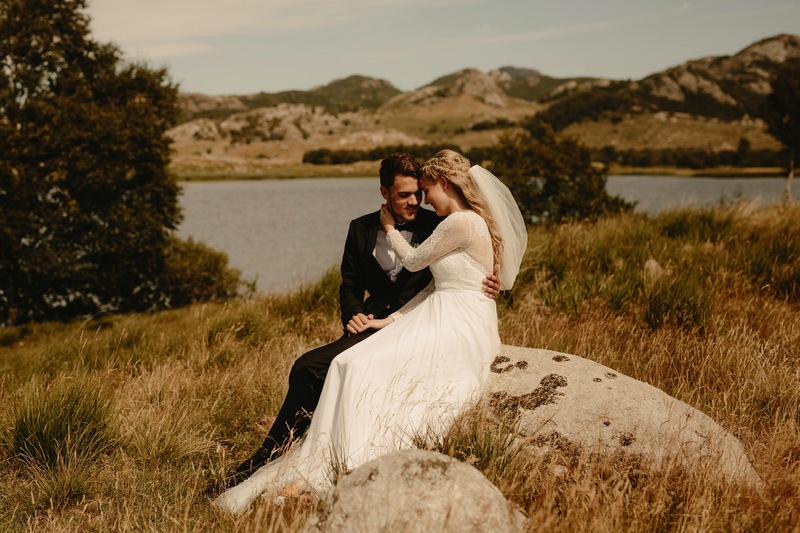 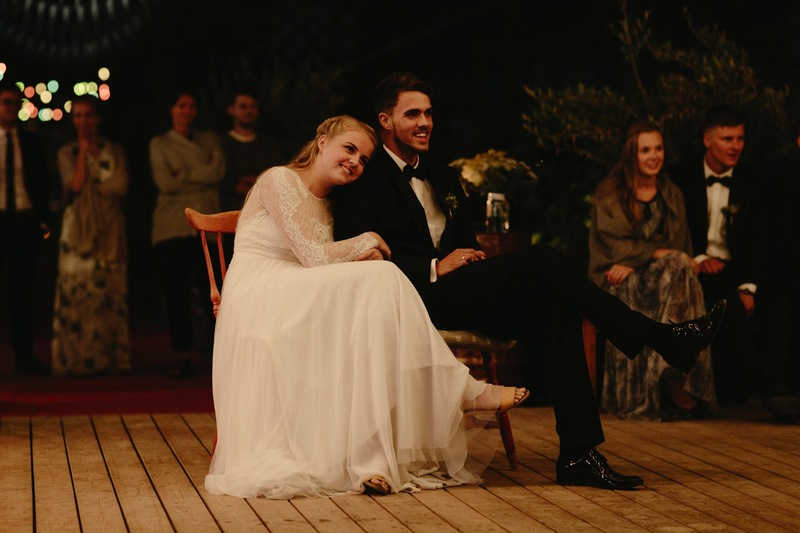 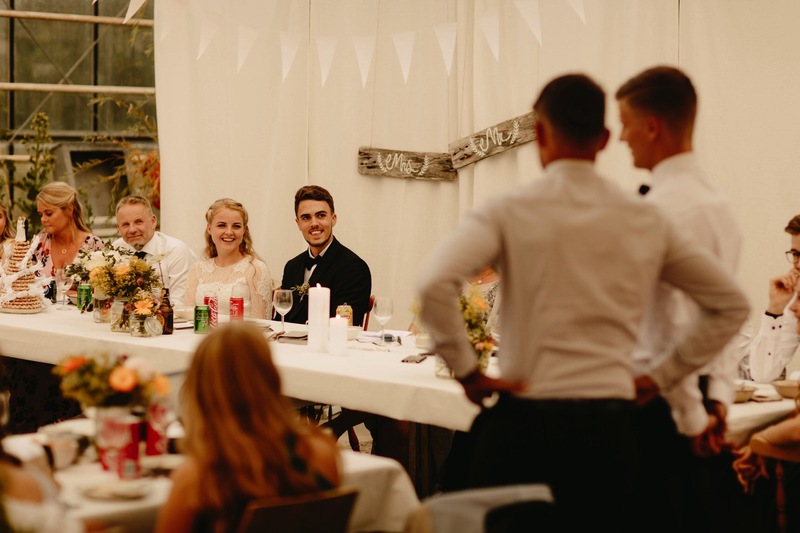 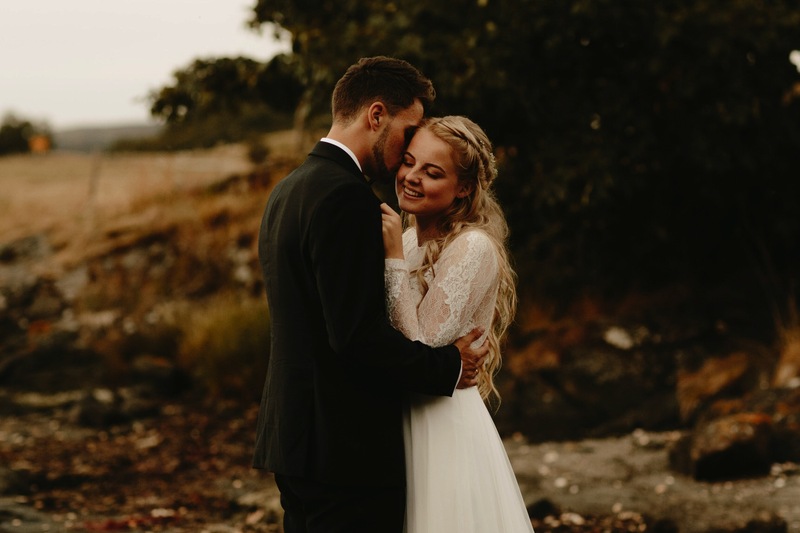 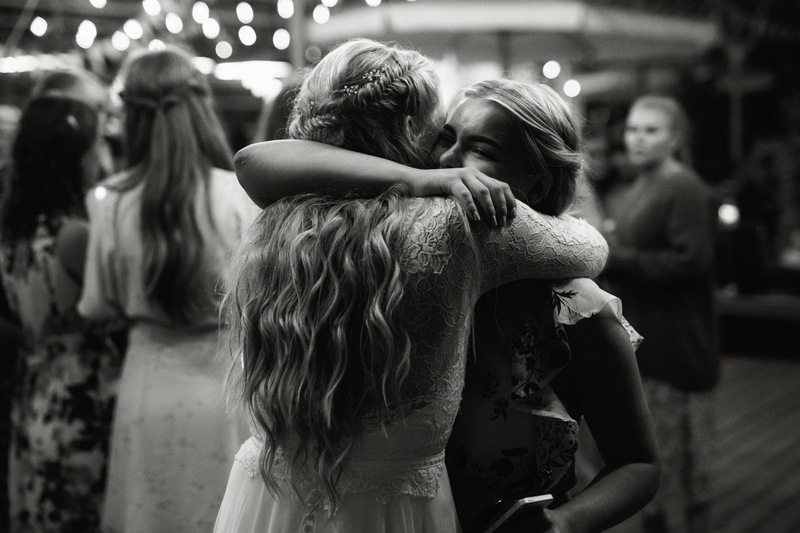 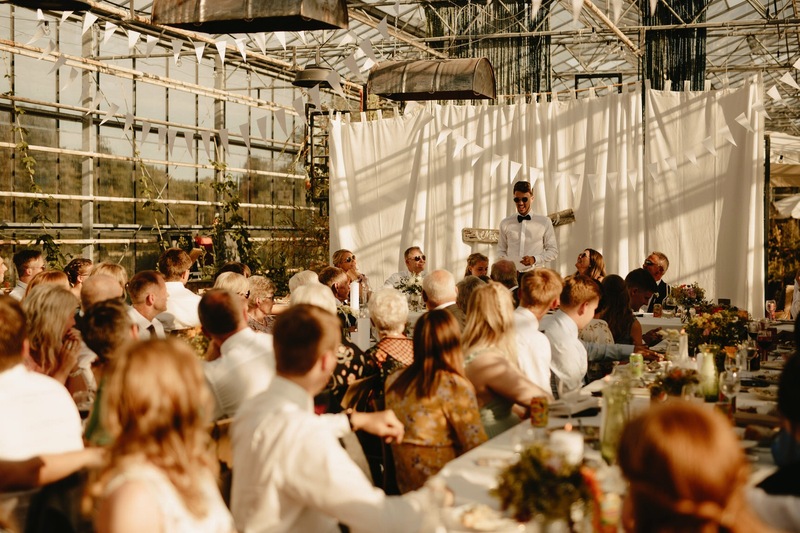 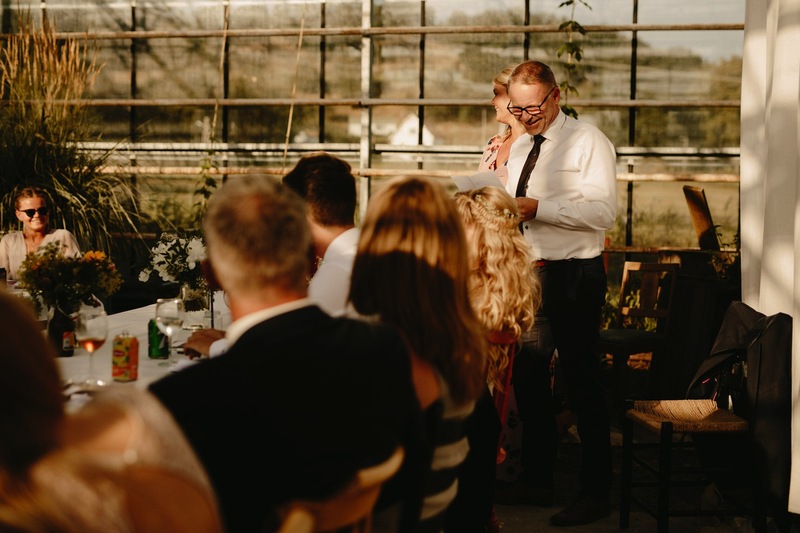 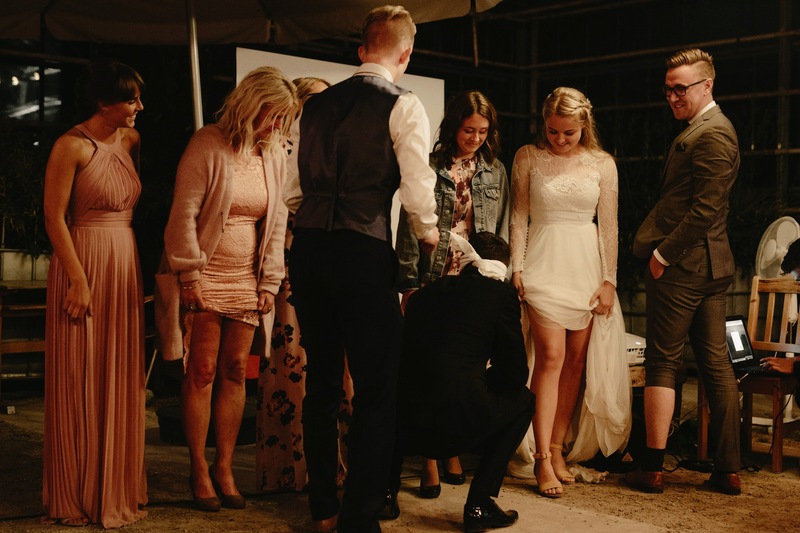 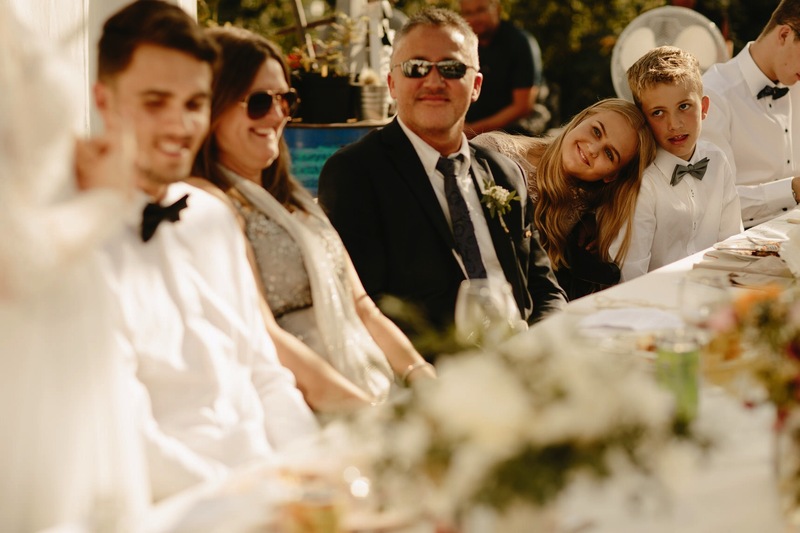 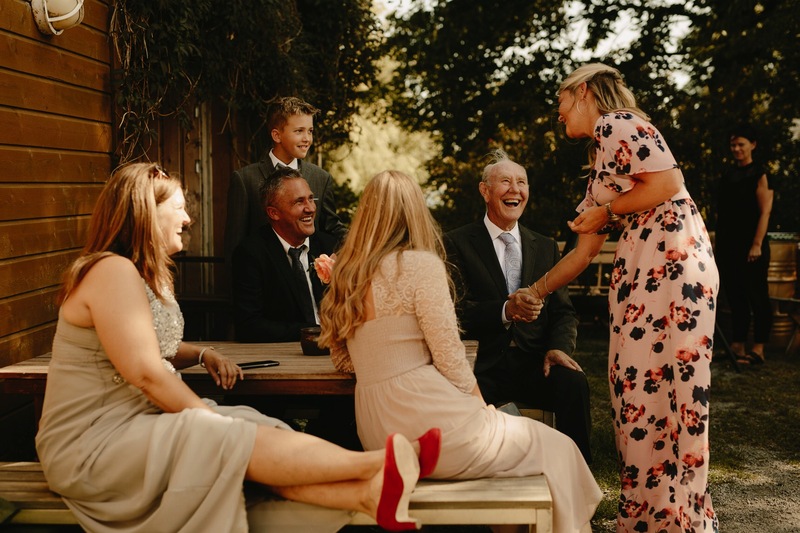 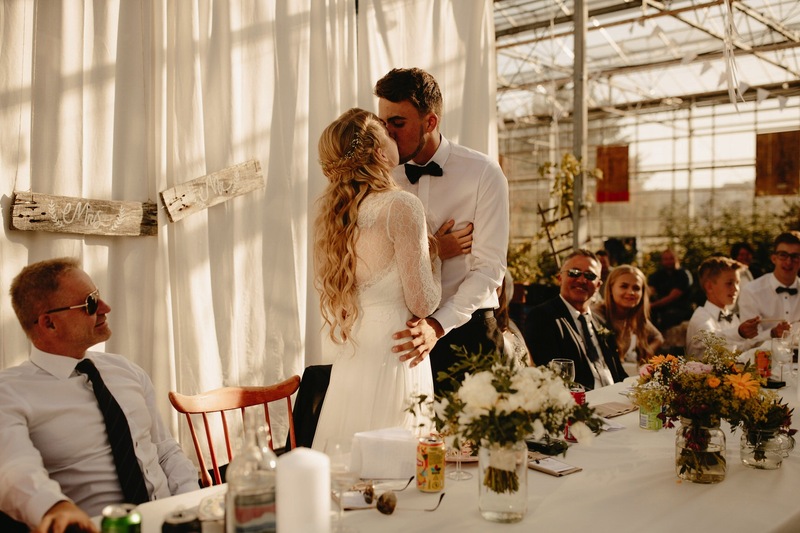 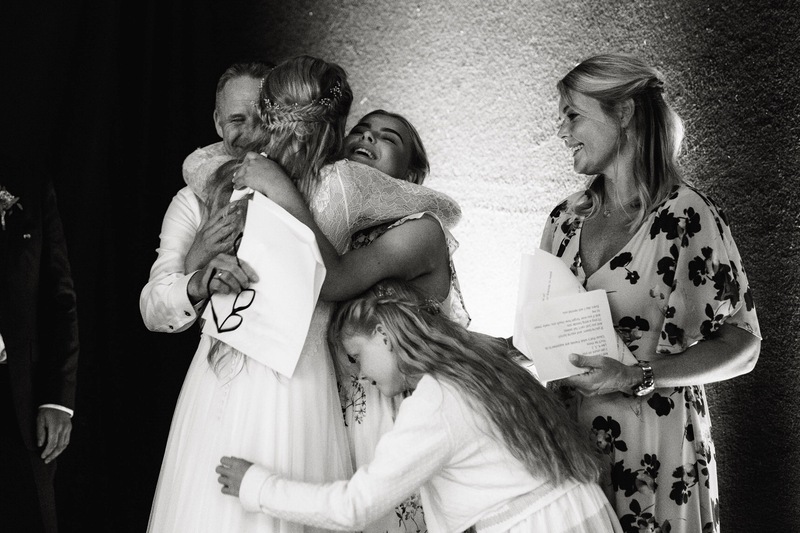 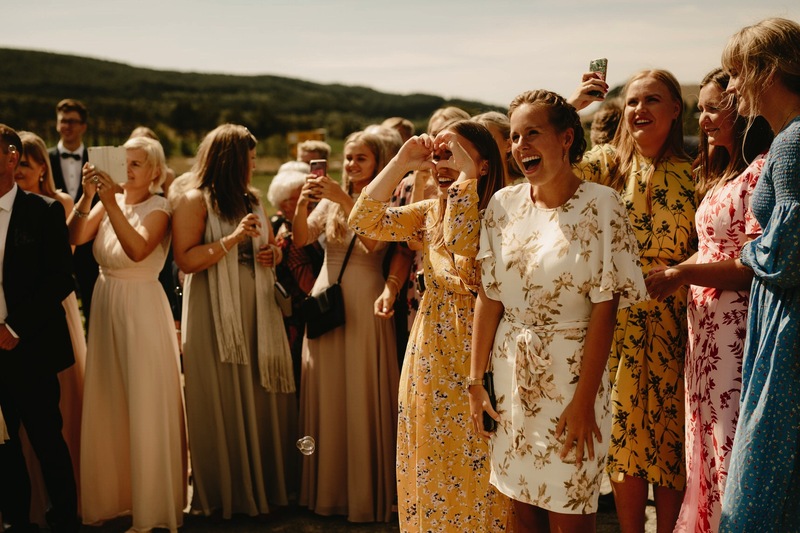 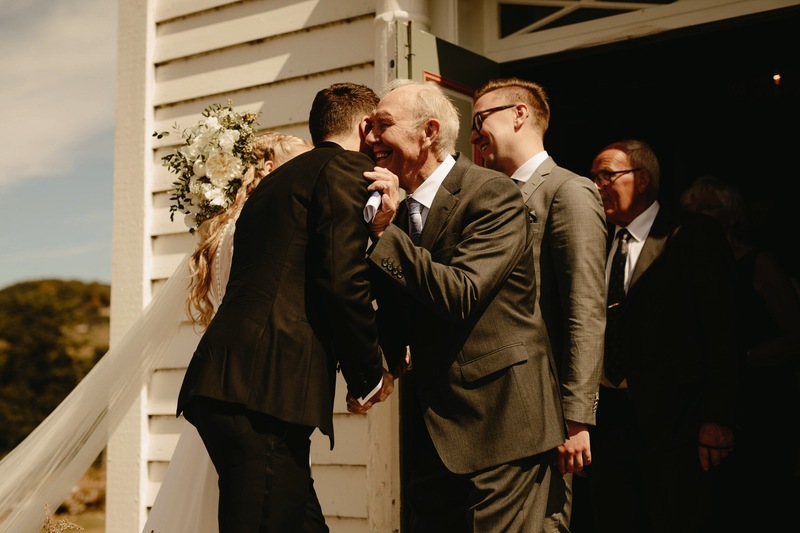 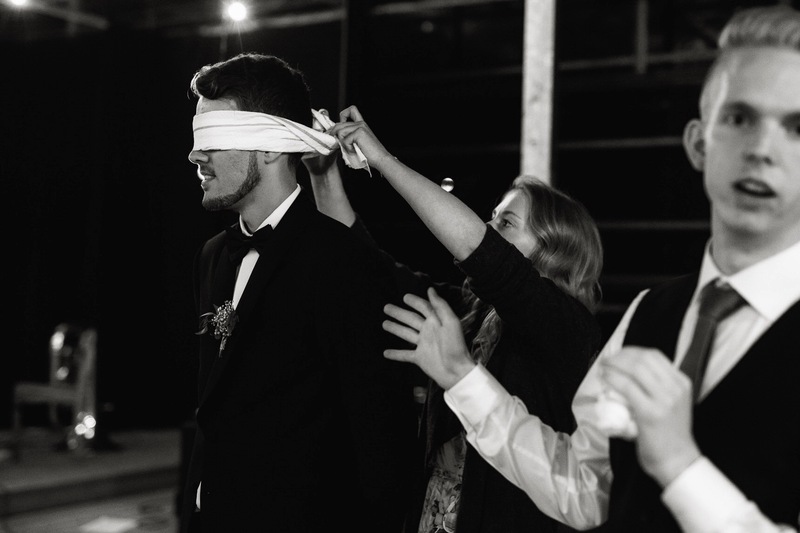 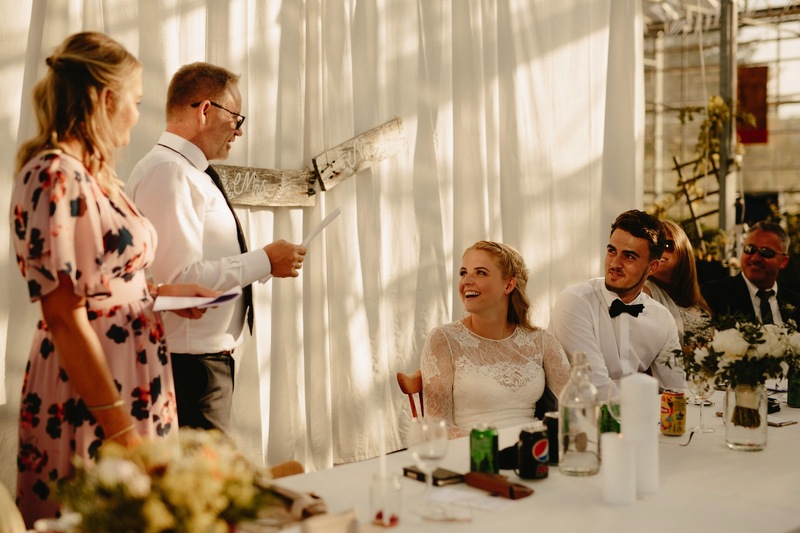 Leon and Maren are two very special people, so of course they were not short of people wishing to shower them with kind words on their wedding day – everyone from their parents, best friends, Nana and even Maren’s little sister got up to express how much they mean to them. 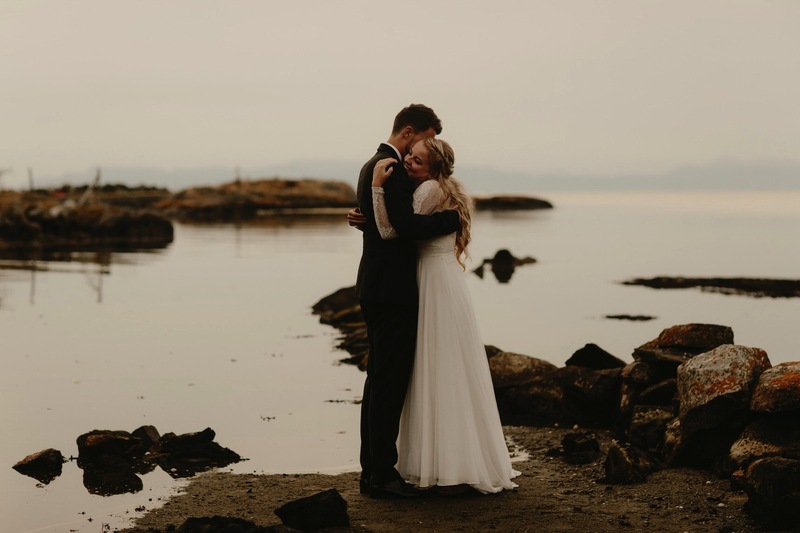 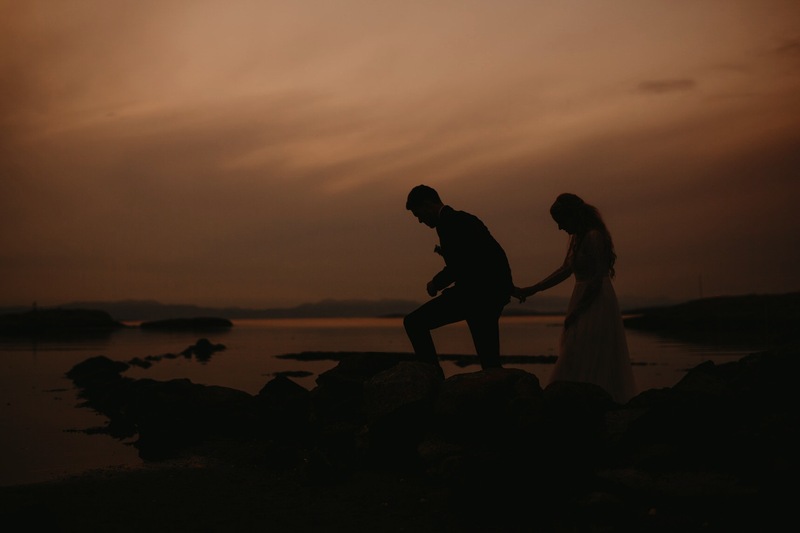 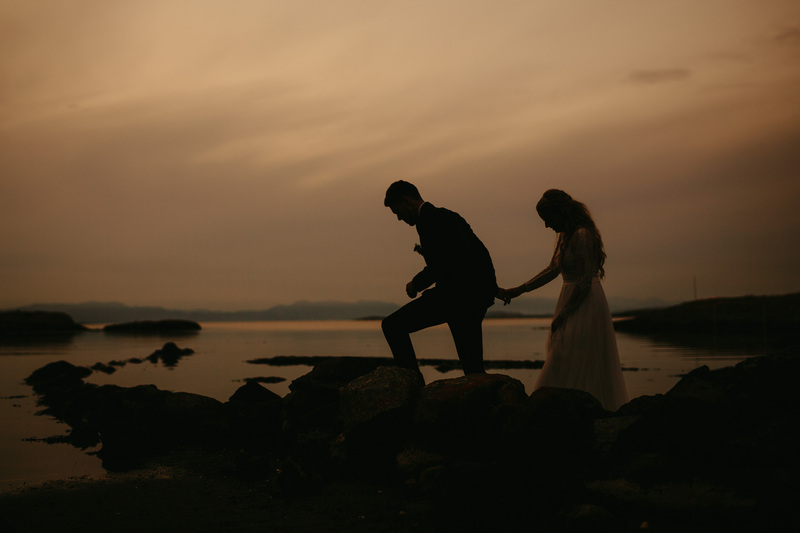 As the light was fading, we slipped away from the celebrations to get a glimpse of the (almost) midnight sun and take some intimate portraits on the shores of the coast as the tide rolled in. 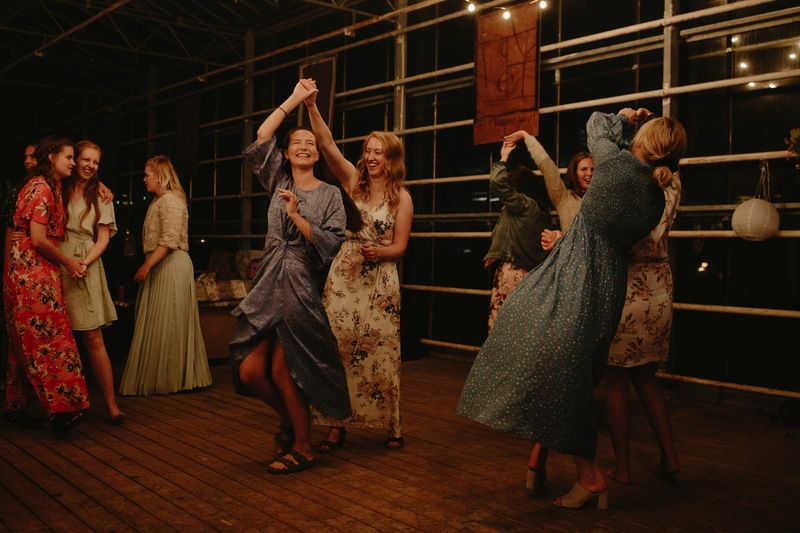 We returned from the portraits, to see in the night with songs from their family, videos made by friends and dancing until the early hours.